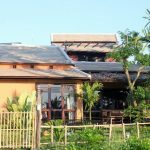 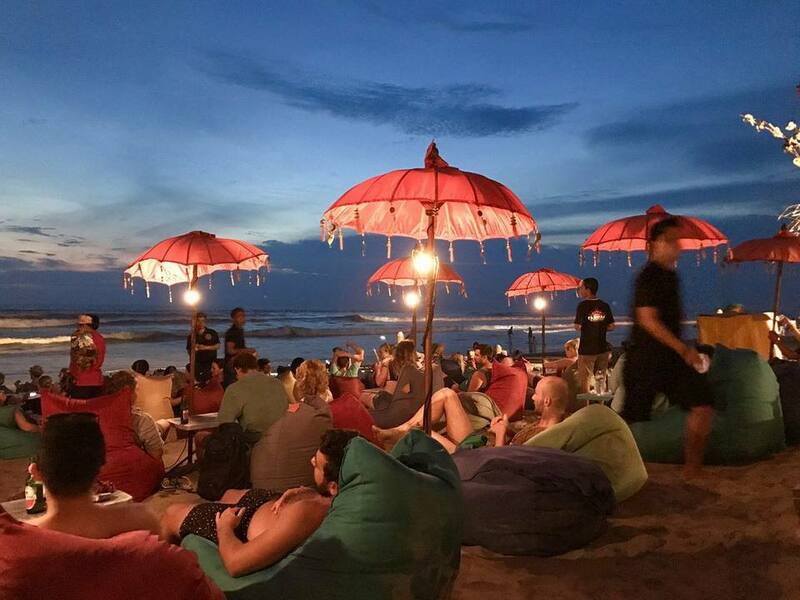 Top places to stay in Bali — Top 10 best areas to stay in Bali Indonesia for the first-timers - Living + Nomads – Travel tips, Guides, News & Information! 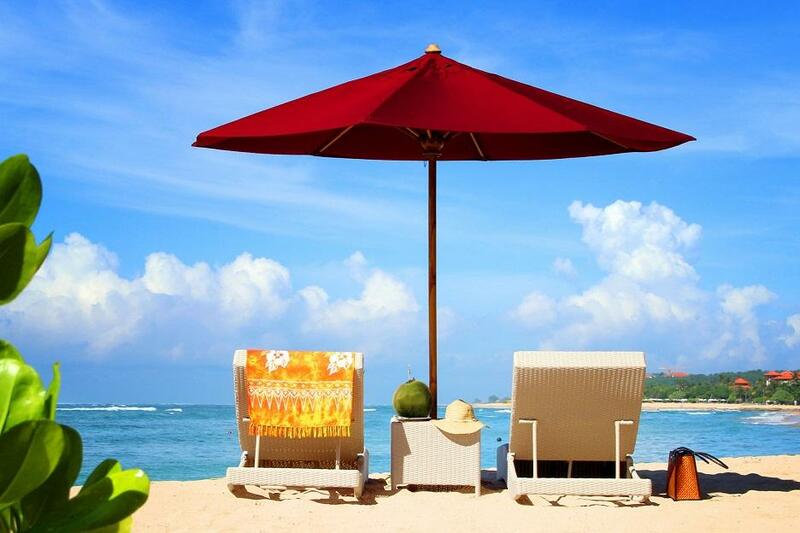 For vacation trips, planning is never excessive. 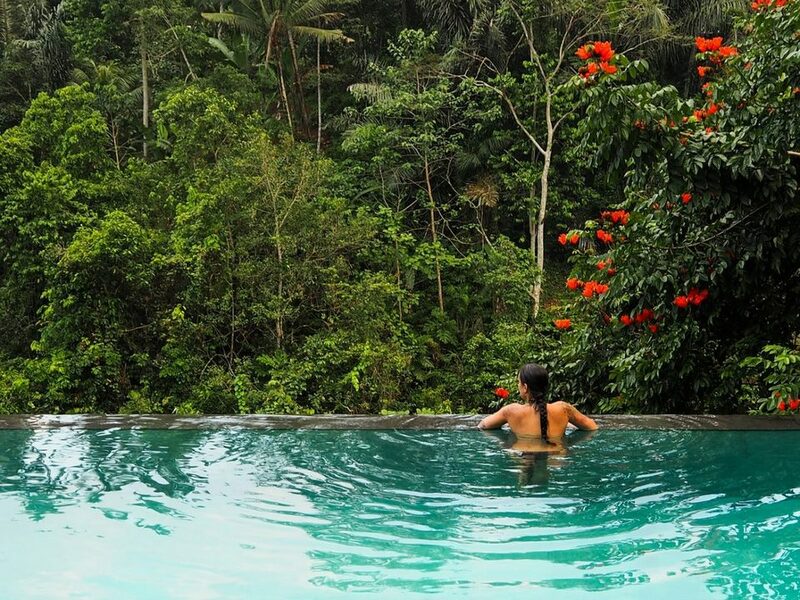 One of the elements determines the success of your trip. 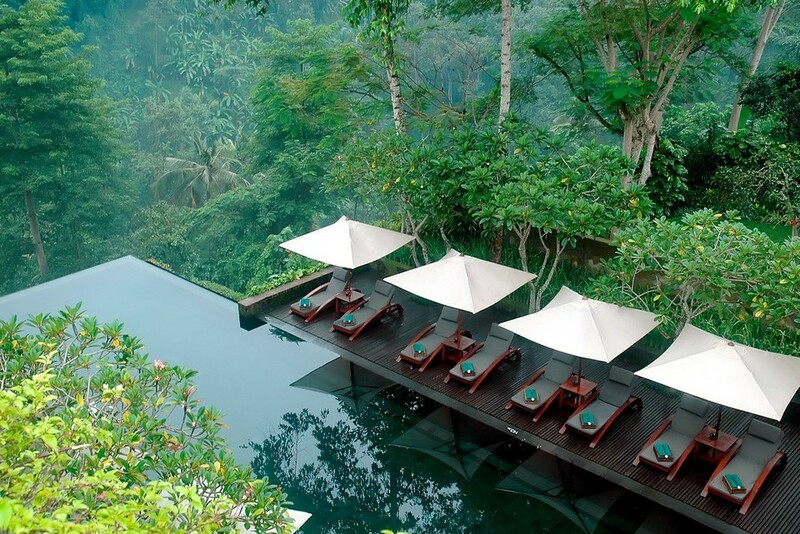 It decides your mood and your health during the trip. 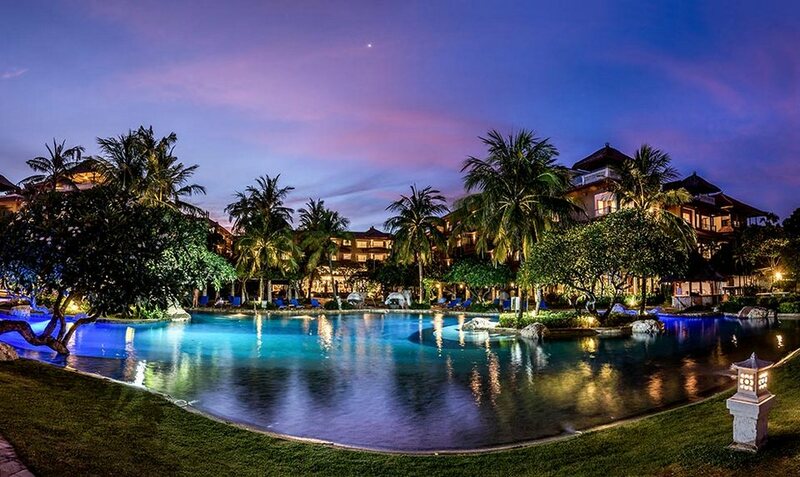 Can you think of the bustling activities one day as nothing more than a quiet bed and a quiet space at night? 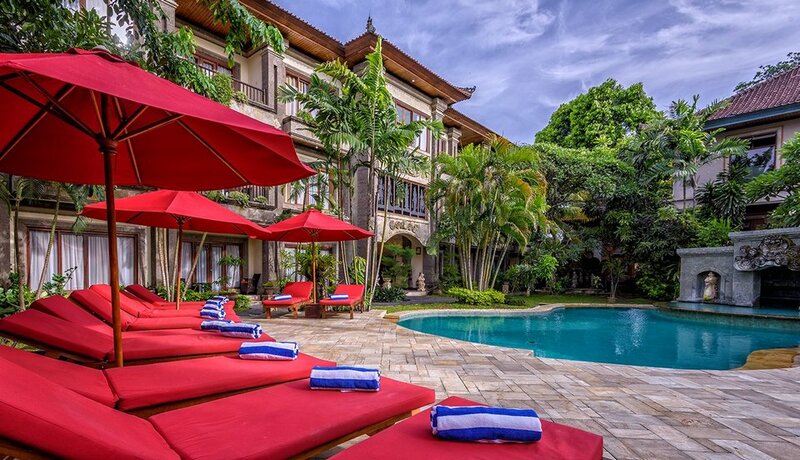 A good news for you is that during your Bali trip, it will not be too hard to find great places to stay whether your wallet is much or less money. 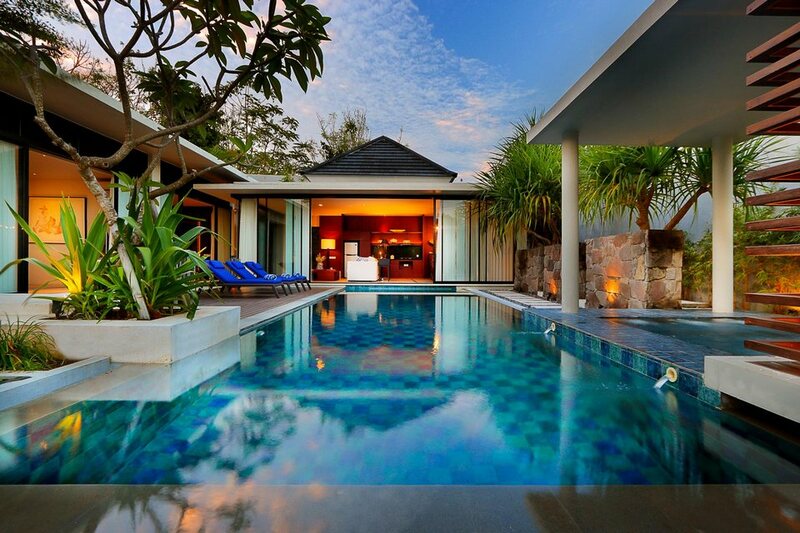 The article below will give you great tips for choosing the place for your vacation stay. 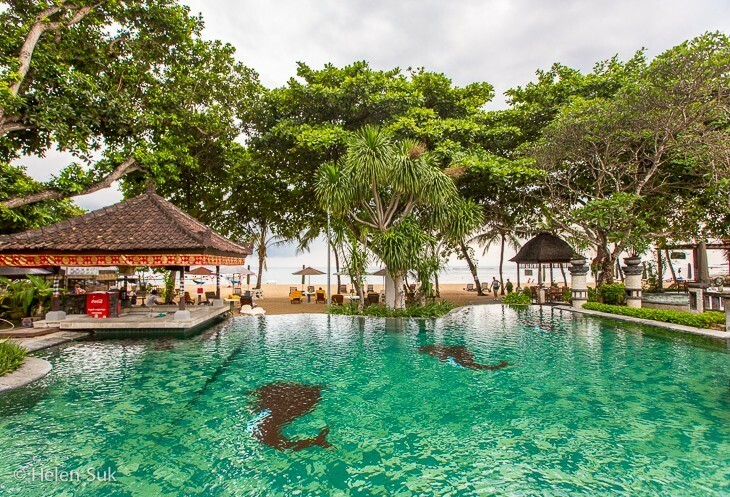 Where to stay in Bali Indonesia and top places to stay in Bali for the first-timers? 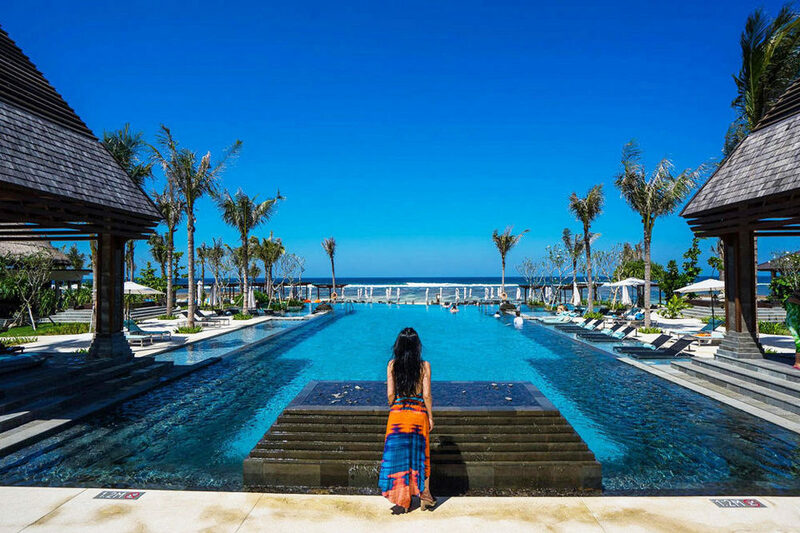 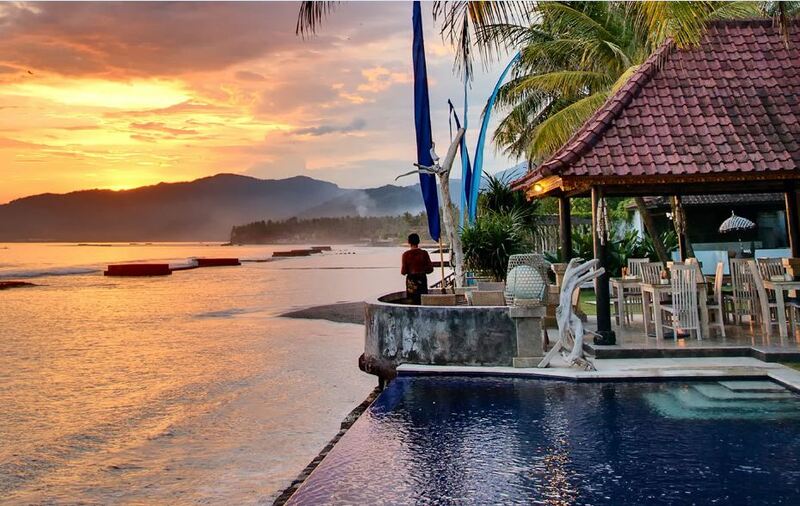 Let’s discover plus and minus of top 10 best areas to stay in Bali Indonesia including best budget places to stay in Bali for tourists who the first time traveling to Bali through our where to stay in Bali blog below. 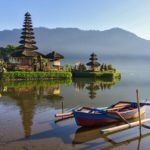 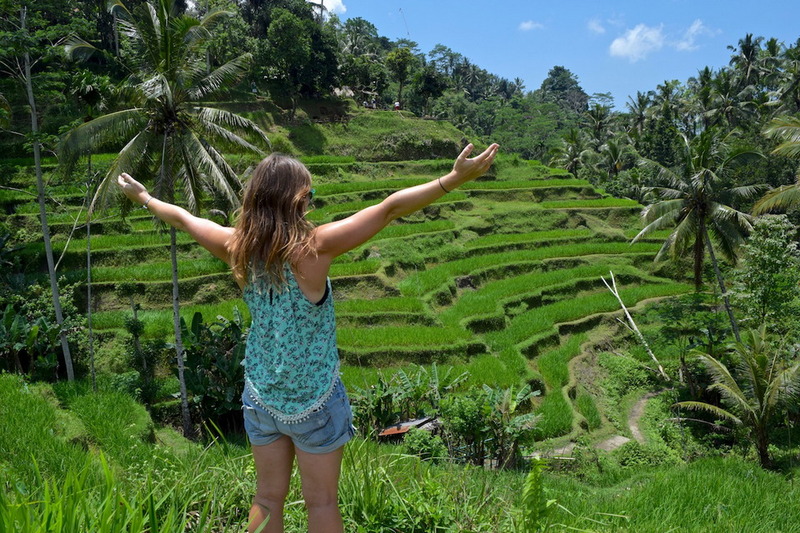 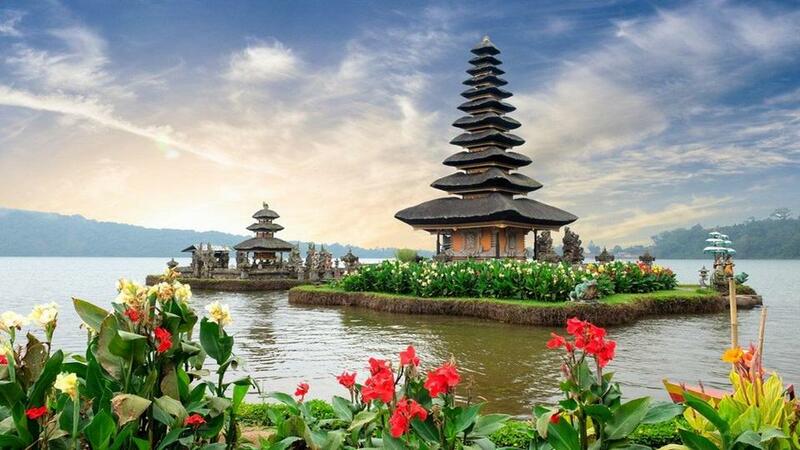 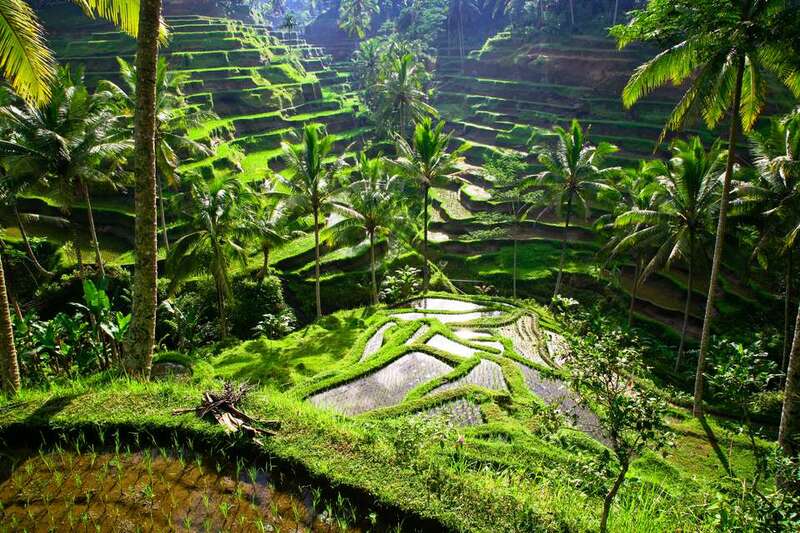 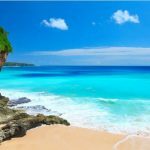 Bali one day tour — How to spend one perfect day in Bali? 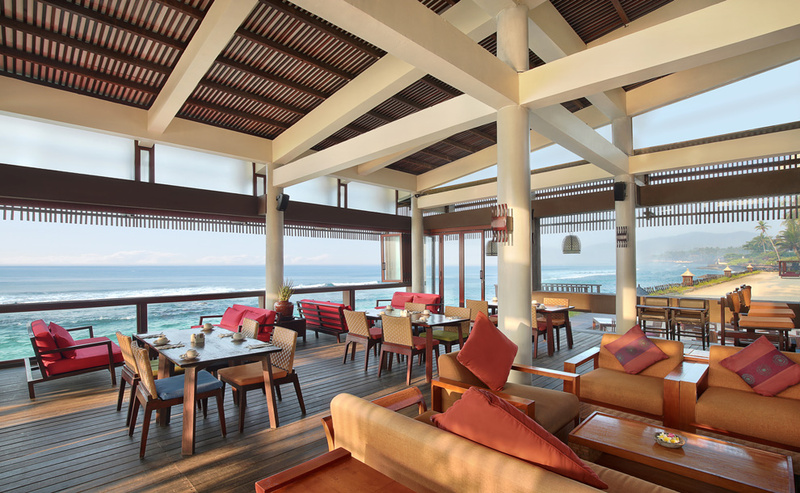 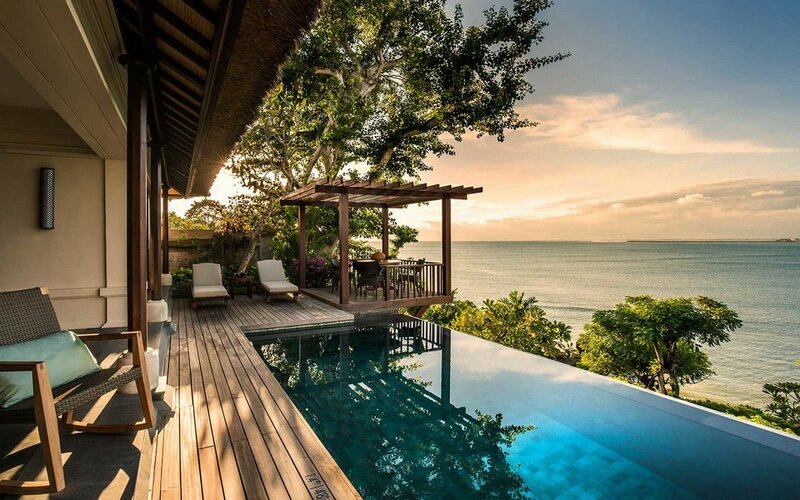 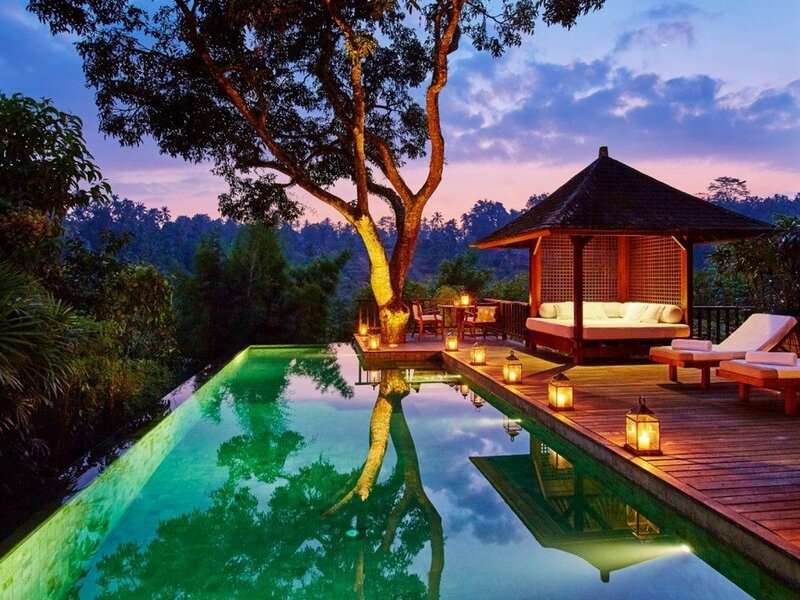 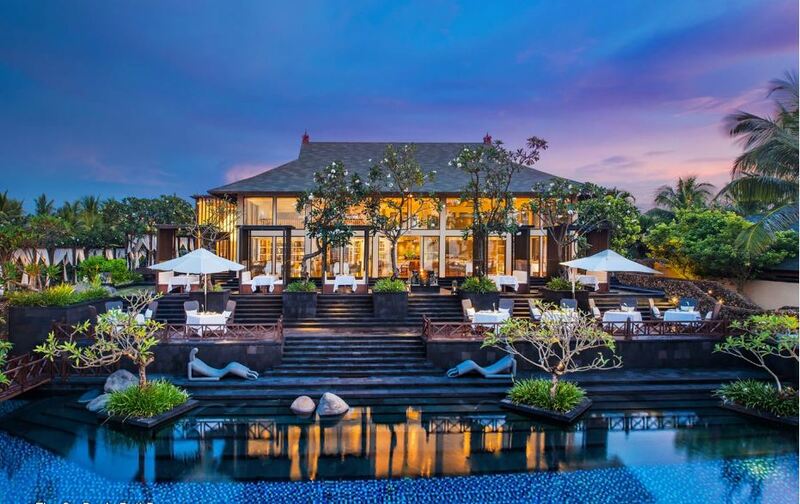 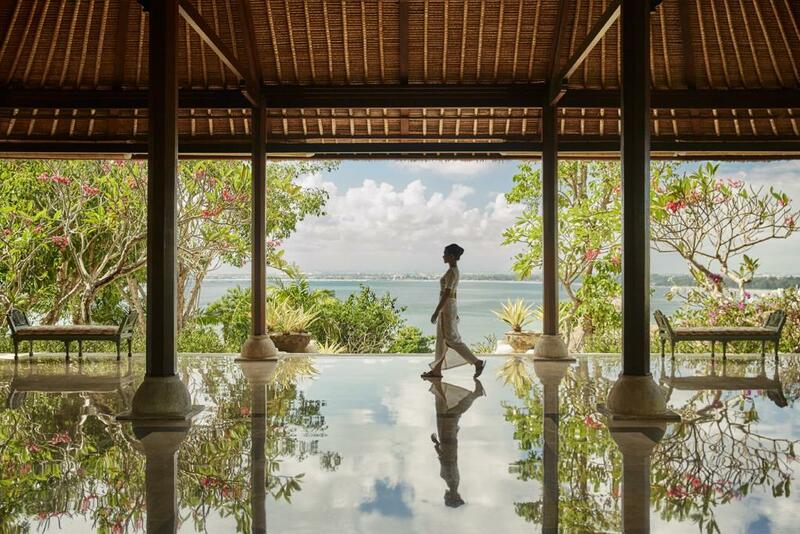 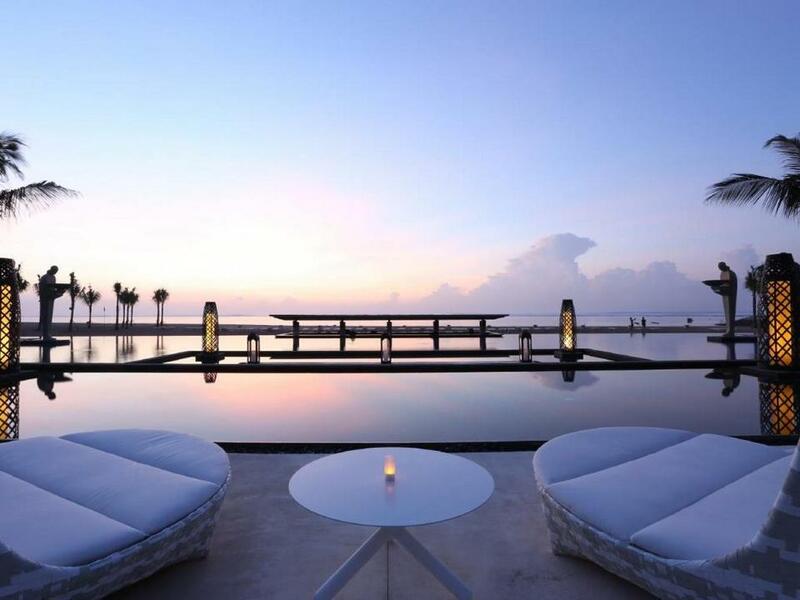 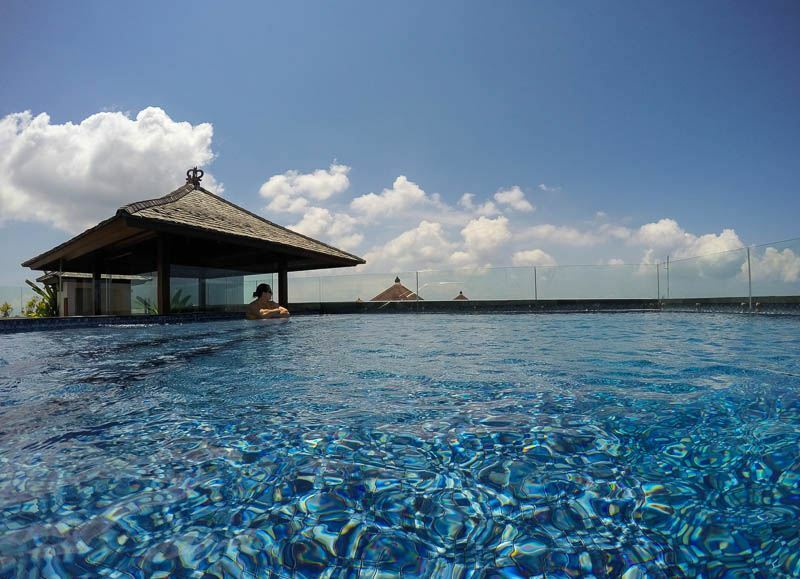 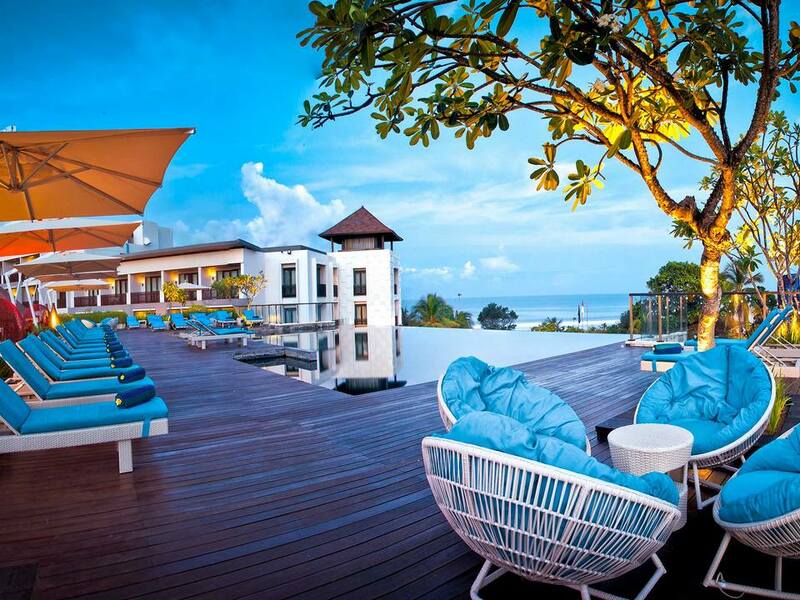 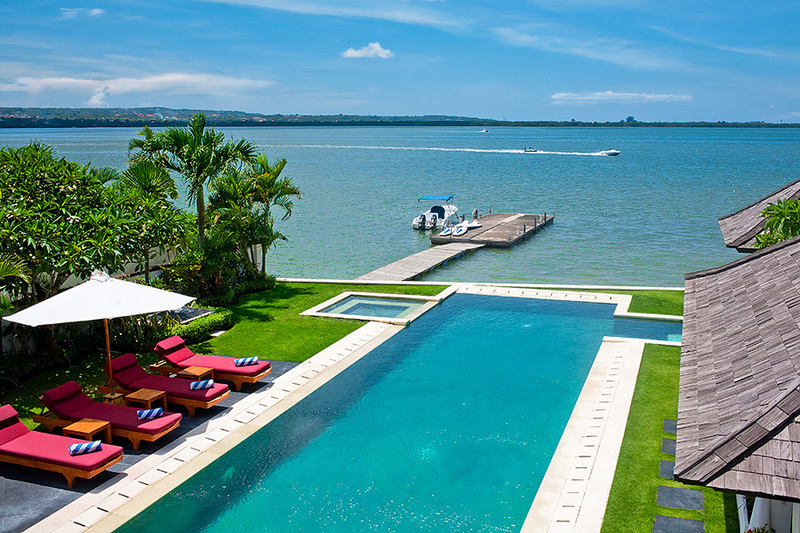 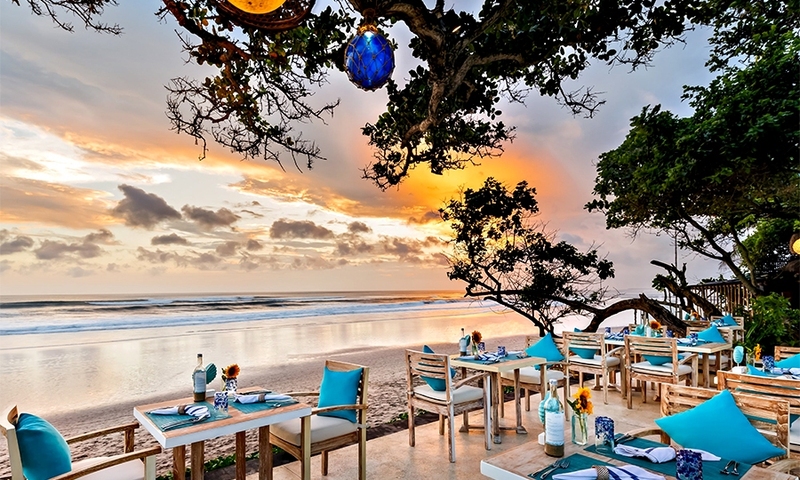 Credit image: top places to stay in bali blog. 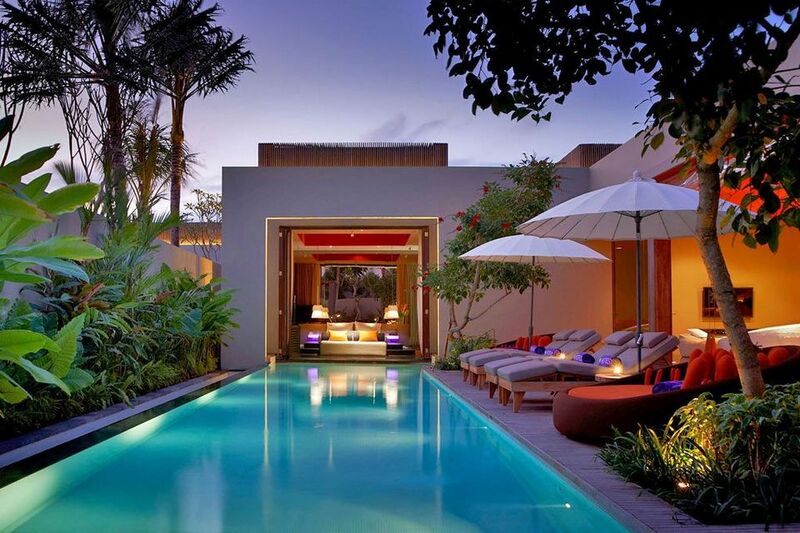 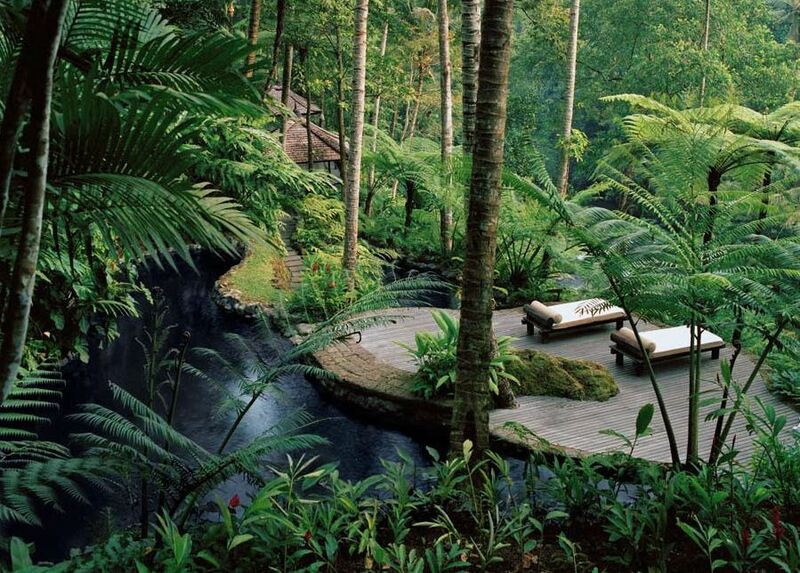 Credit image: where to stay in bali indonesia blog. 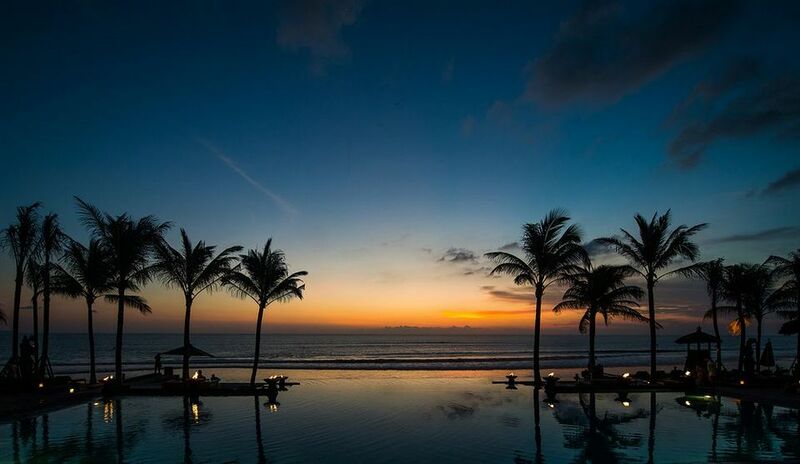 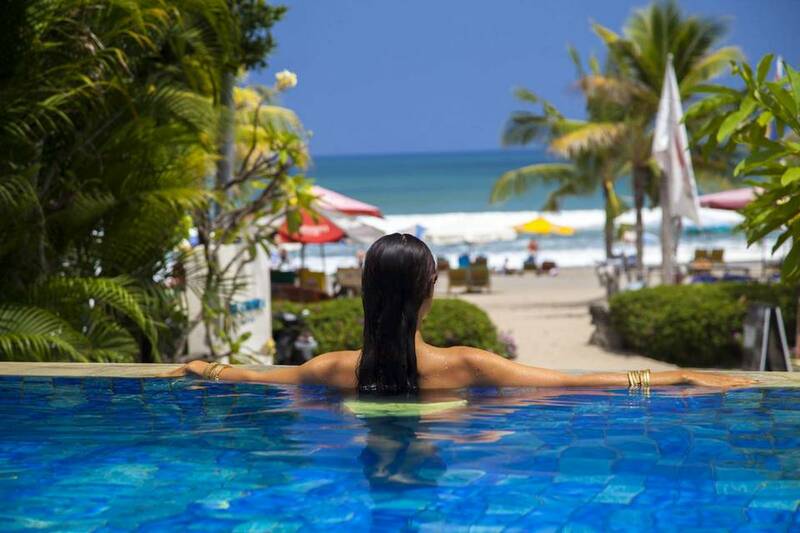 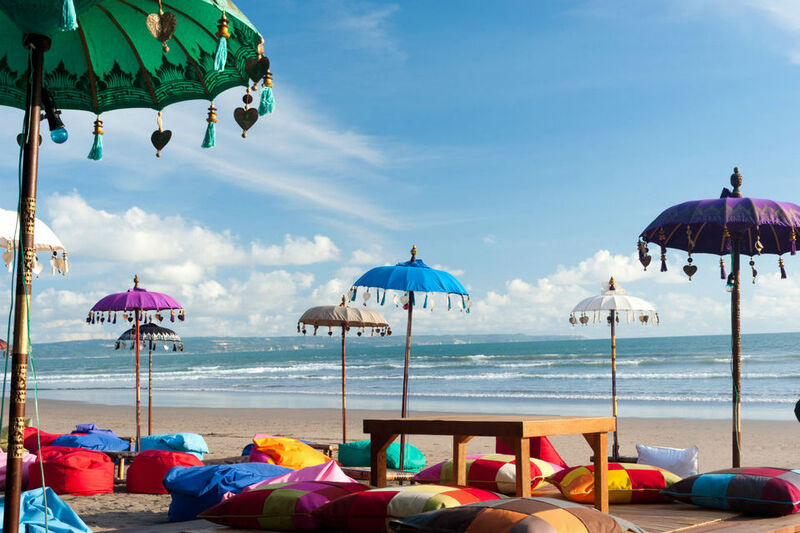 Renowned for its beautiful beaches at sunset, Seminyak is a luxury beach resort in Bali which is considered a five-star resort. 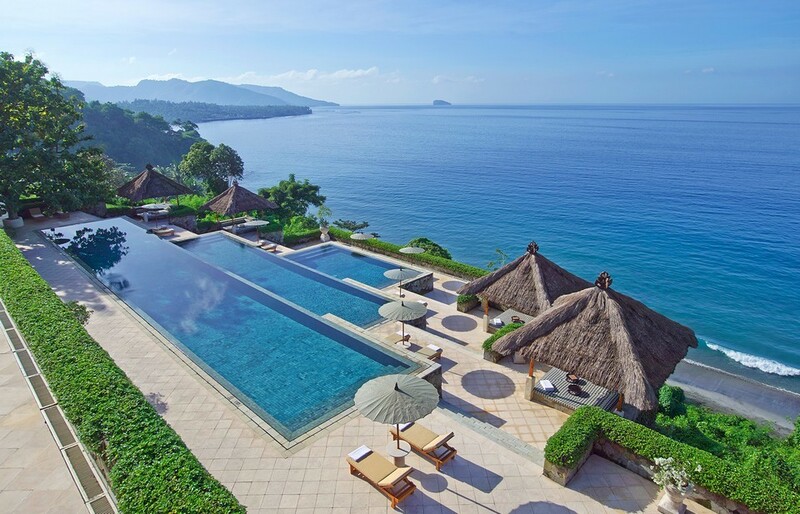 With secluded villas, world-class beach clubs and place to view the fantastic sunset. 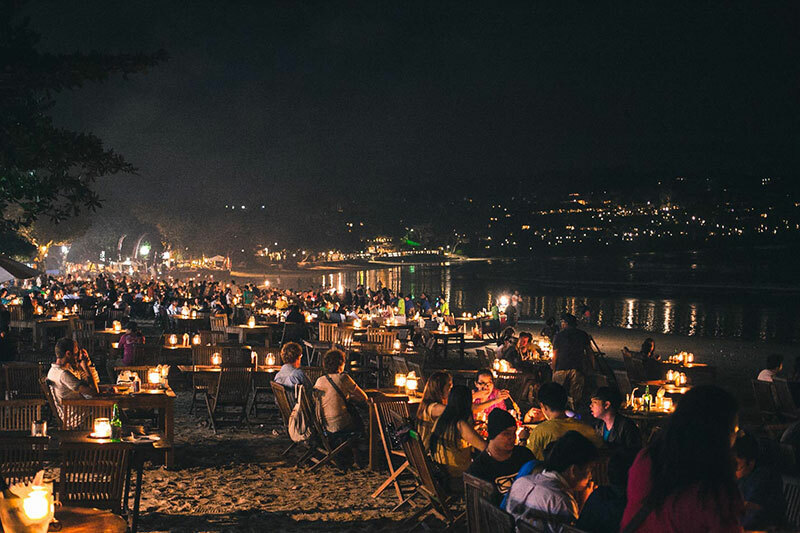 Most of the island’s best restaurants are found in this area. 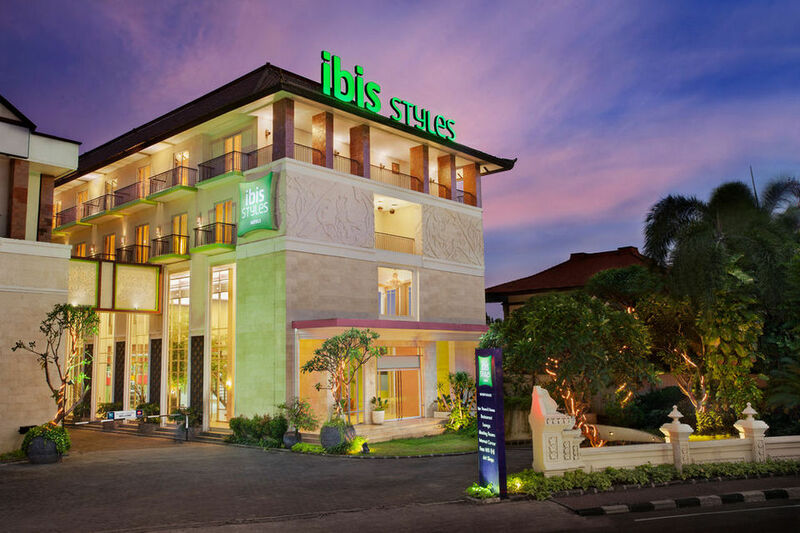 This place is also a shopping paradise with many design shops and brands. 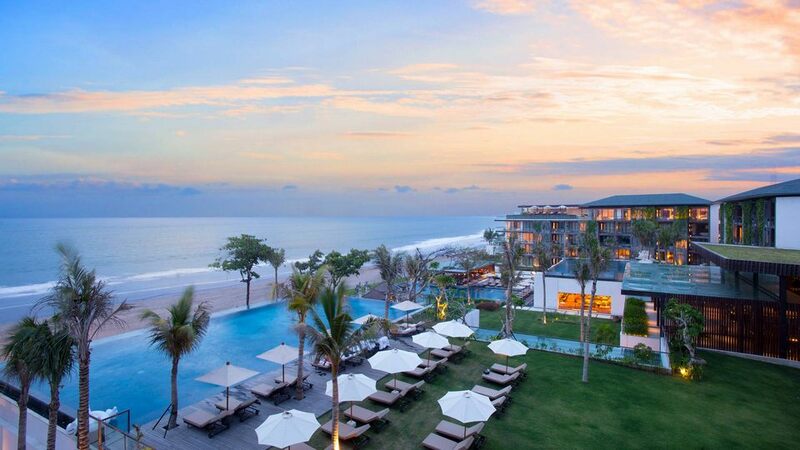 Picture: top places to stay in bali blog. 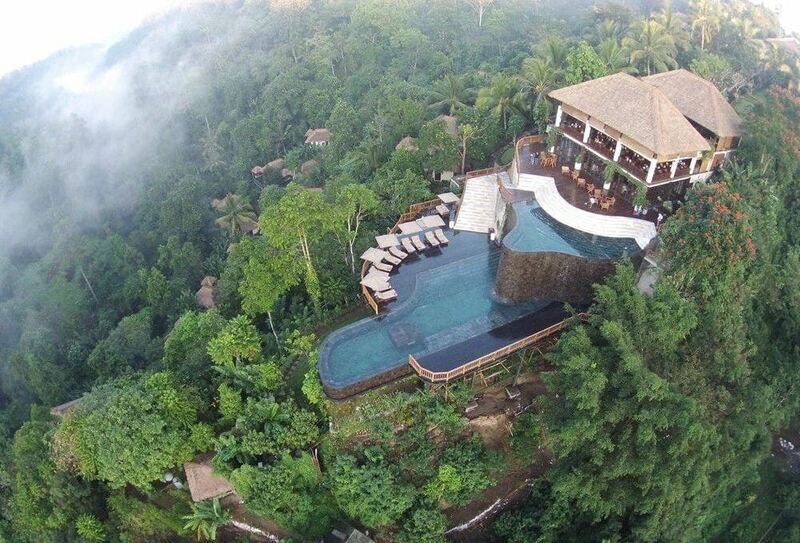 Who is this place for? 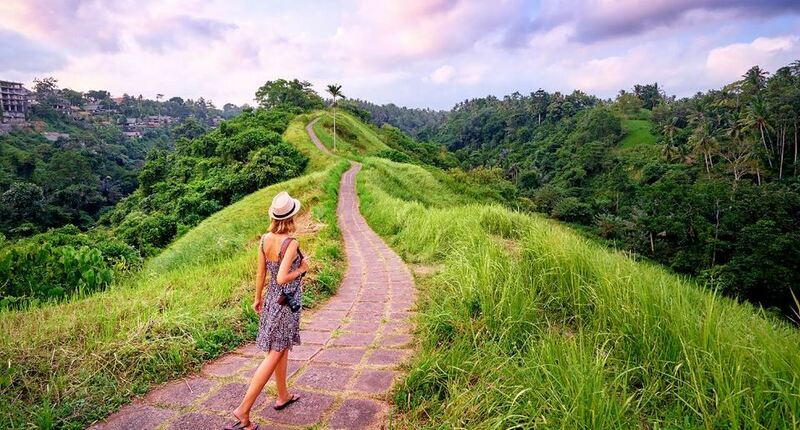 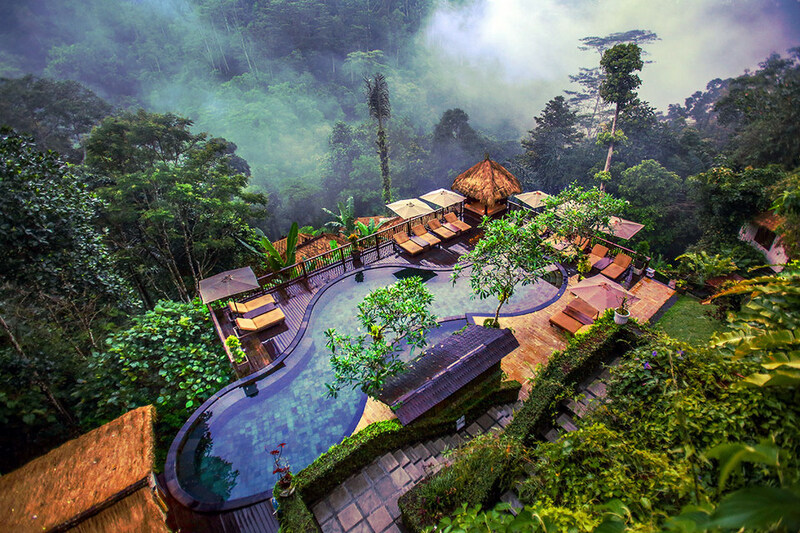 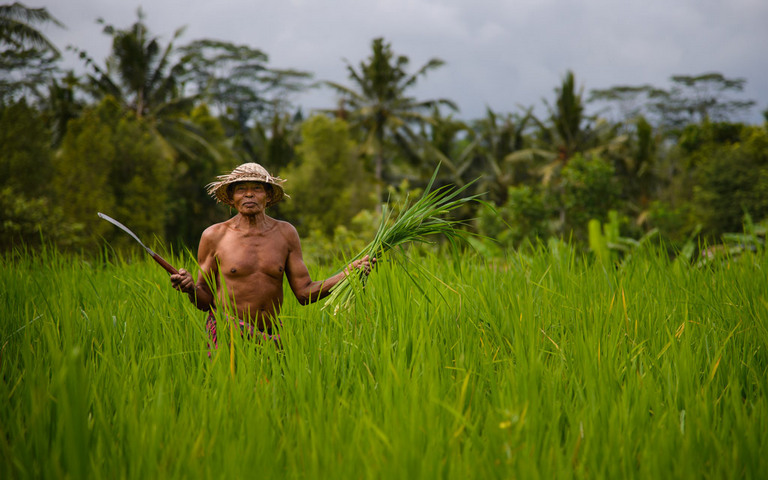 Situated in the central highland of Bali, Ubud is a small town offering an alternative accommodation for tropical beach scenes at popular resorts. 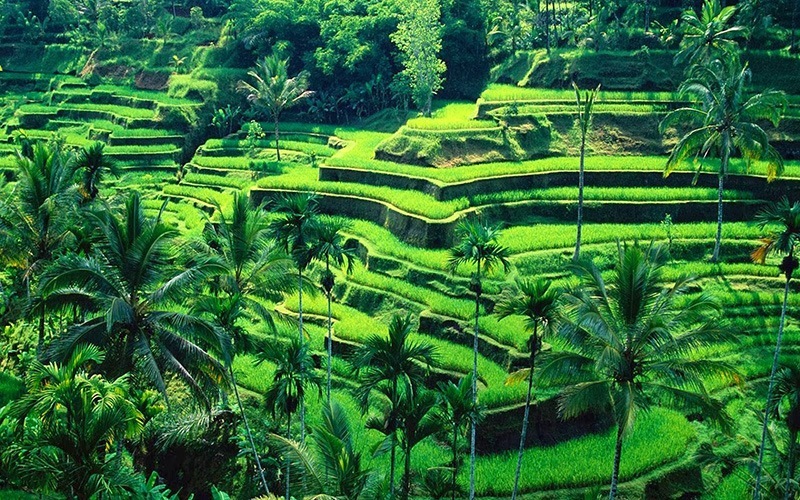 The area is dominated by lush river valleys and the famous bamboo rice dish. 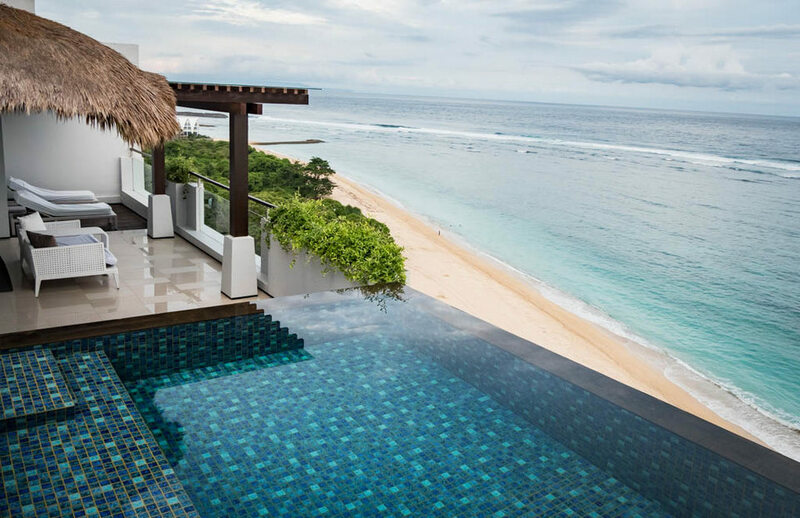 Along with that, the relaxation spa system is located in the village area helps you regain your energy after joining outdoor activities. 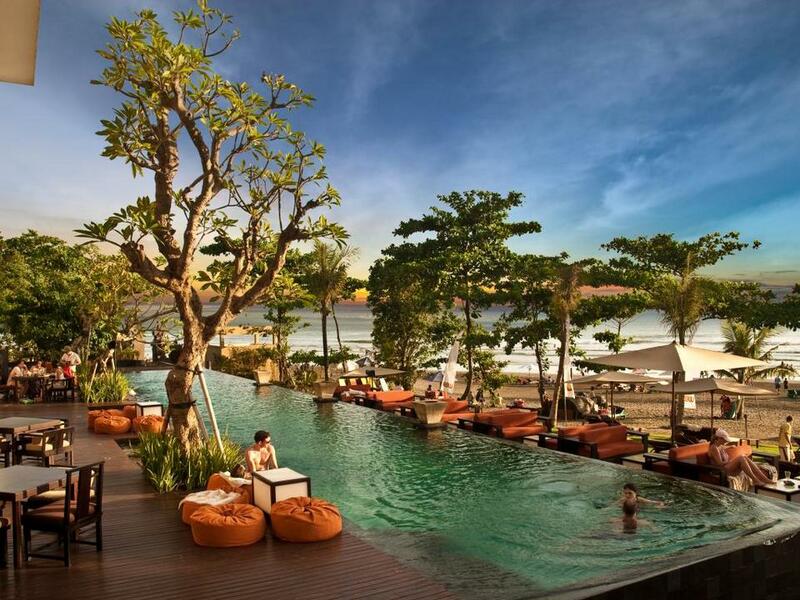 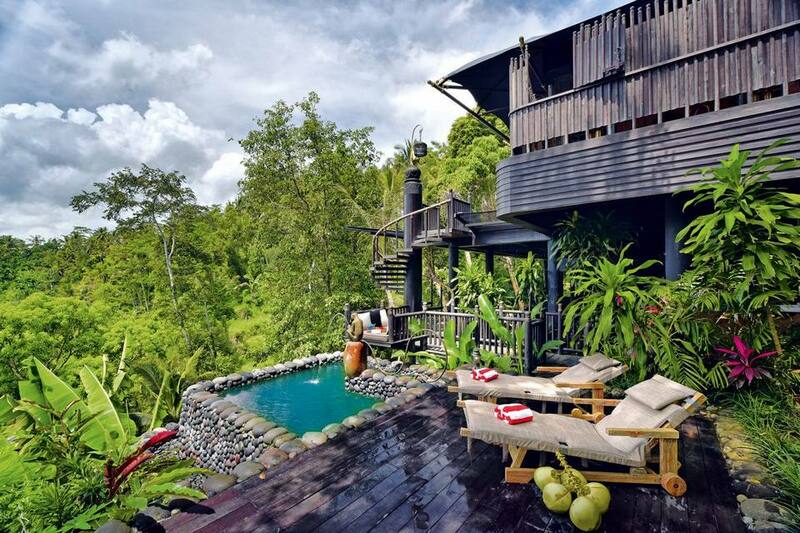 Credit: where to stay in bali indonesia blog. 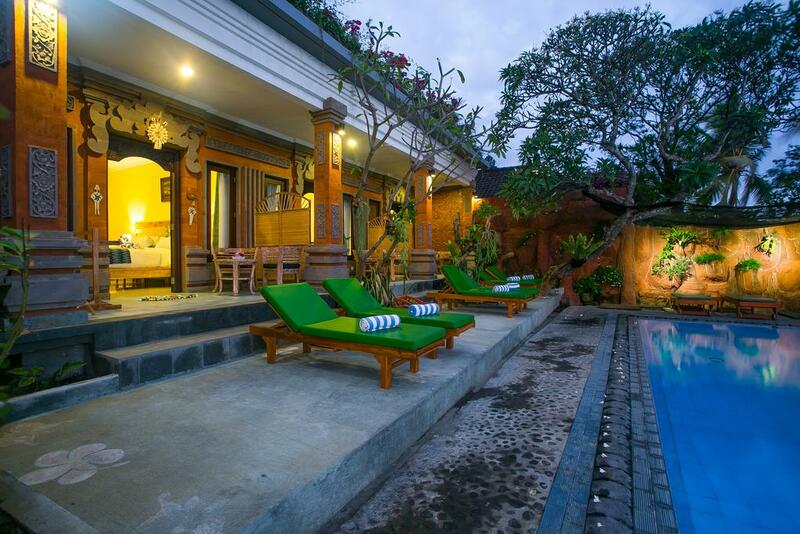 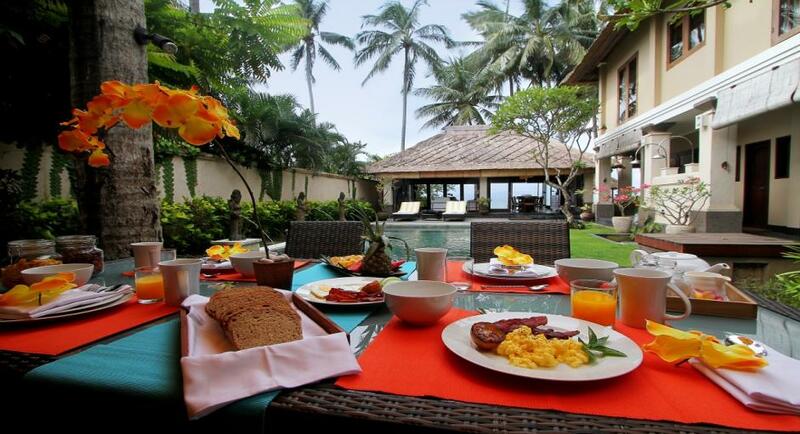 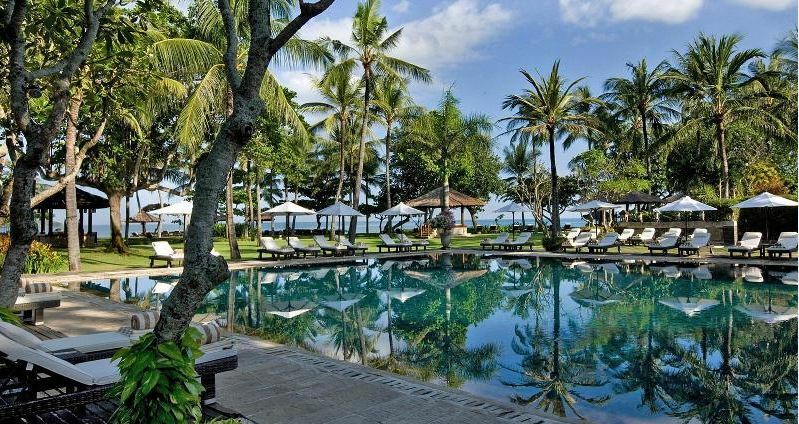 Photo: top places to stay in bali blog. 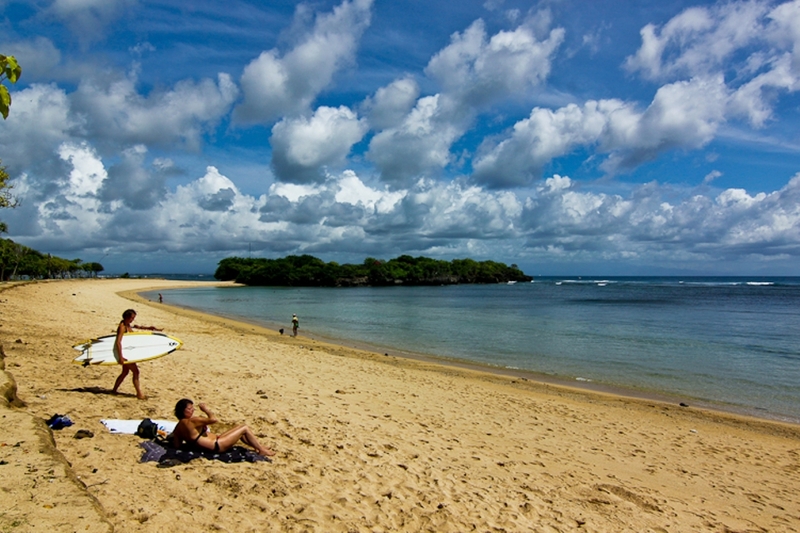 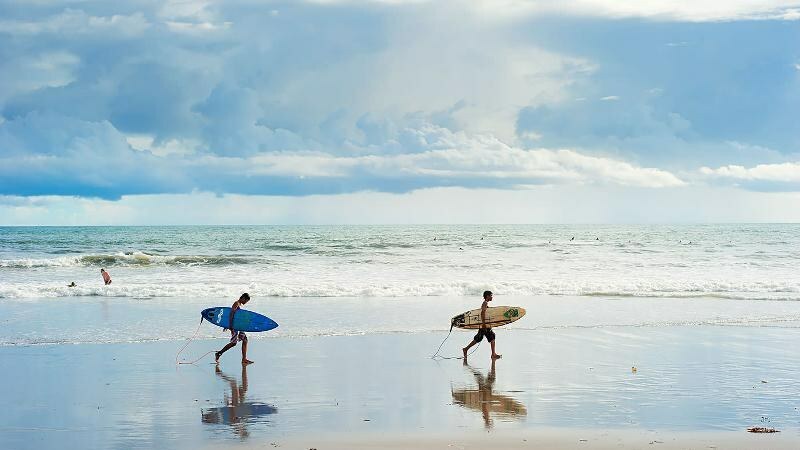 Considered to be the mecca of surfing, this place attracts surfing enthusiasts from many places come to Bali. 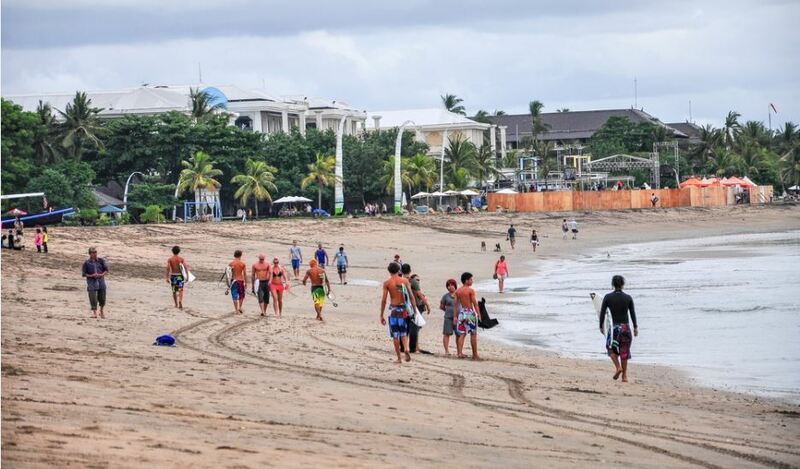 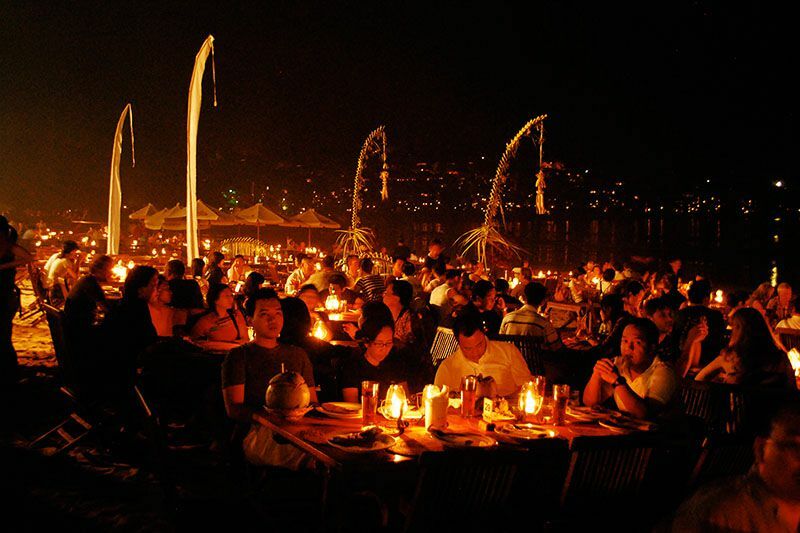 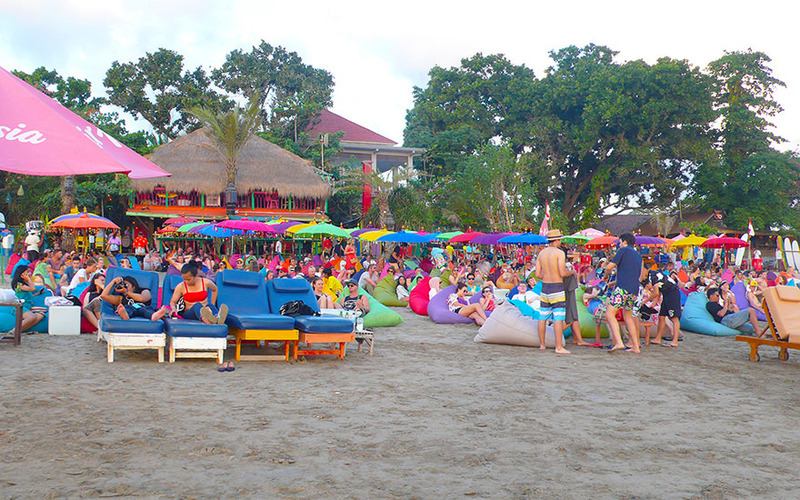 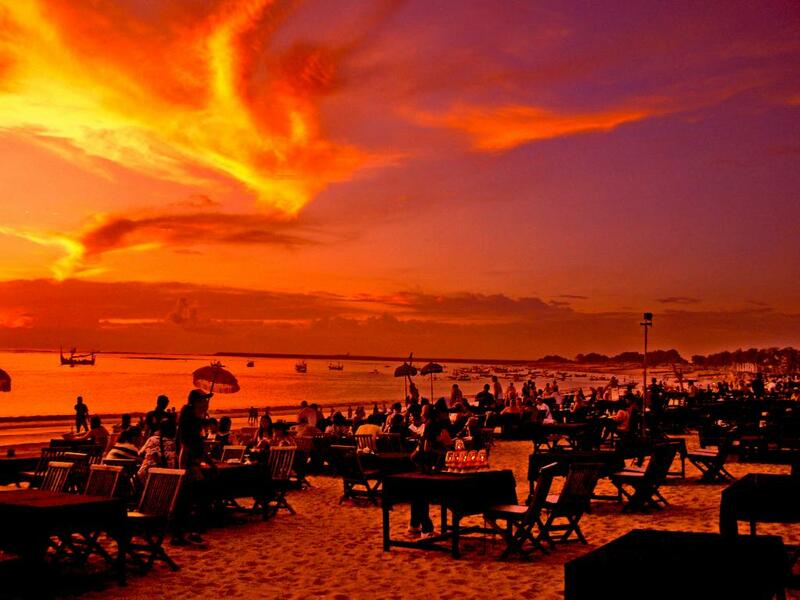 Especially the Kuta Beach area is bustling with night parties, beer, and music. 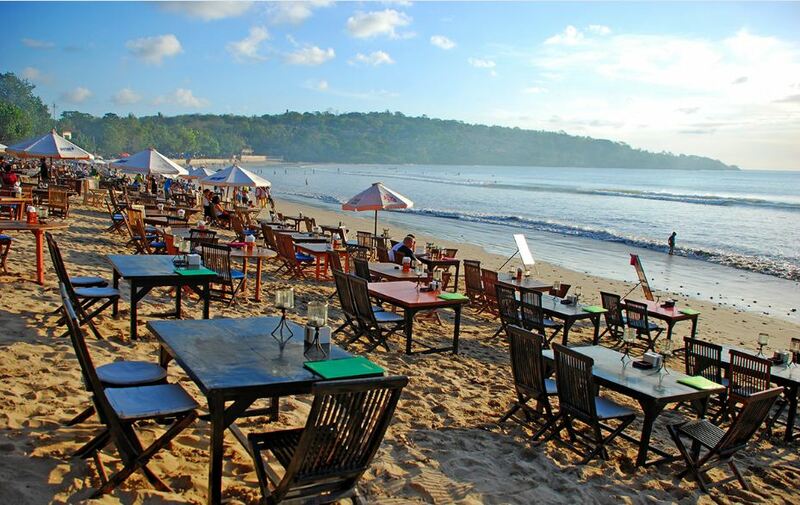 Only 10 minutes north of Kuta Beach, you can find a water park, shopping mall, and restaurants. 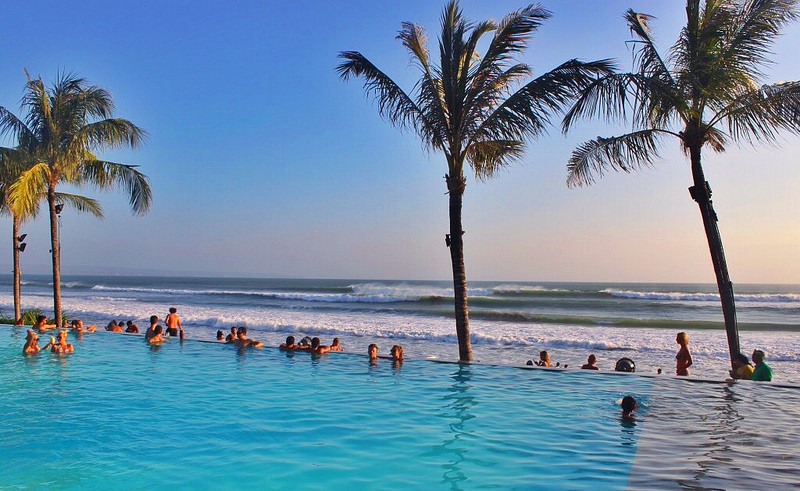 Photo: where to stay in bali blog. 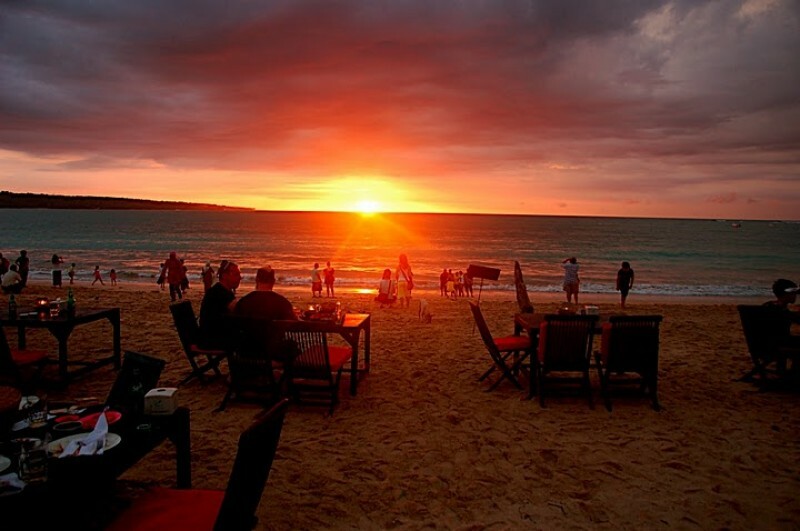 Image by: best area to stay in bali indonesia blog. 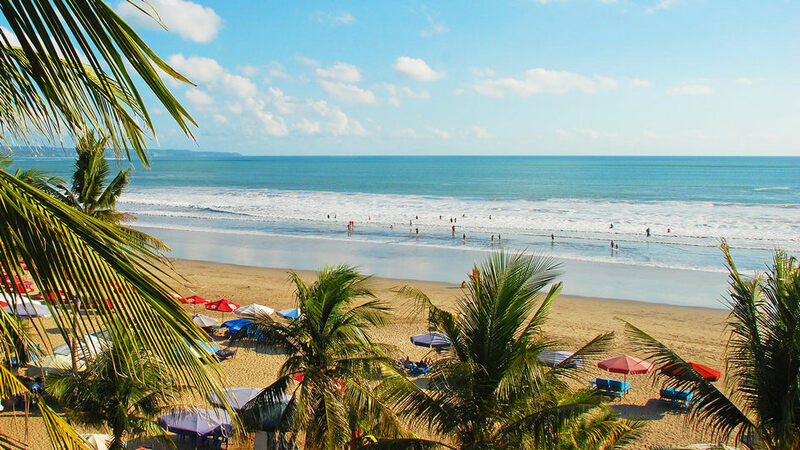 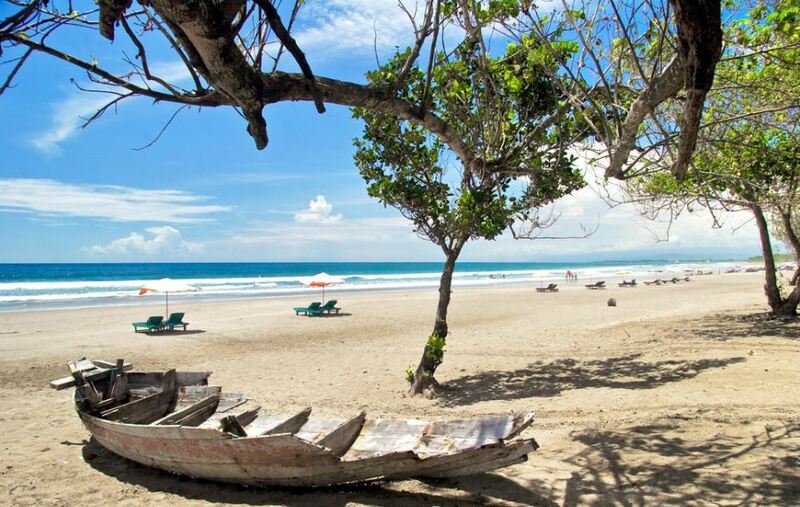 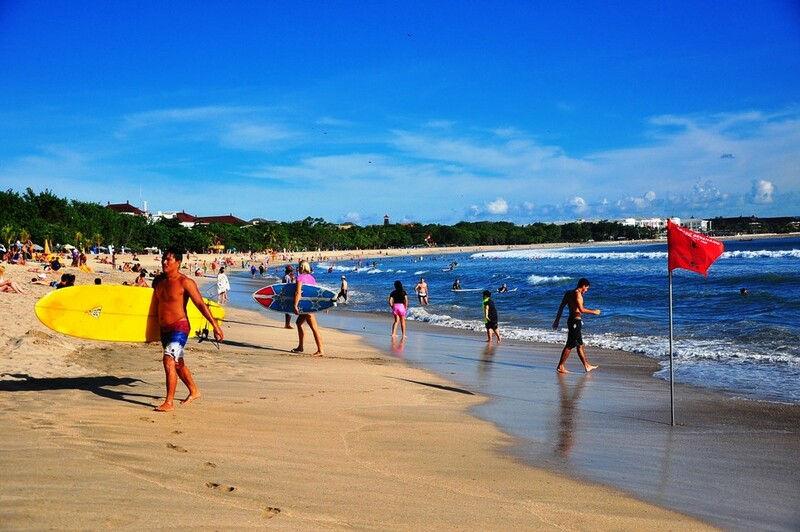 Located between Seminyak and Kuta, Legian is also a popular beach for relax. 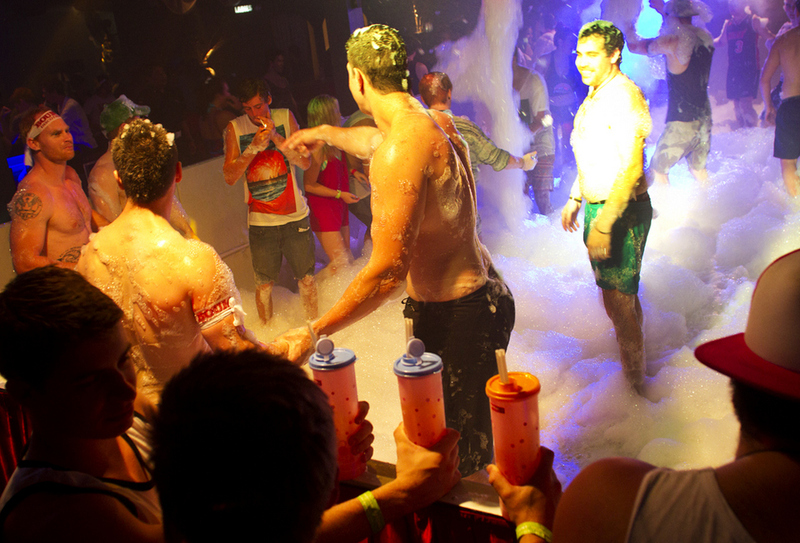 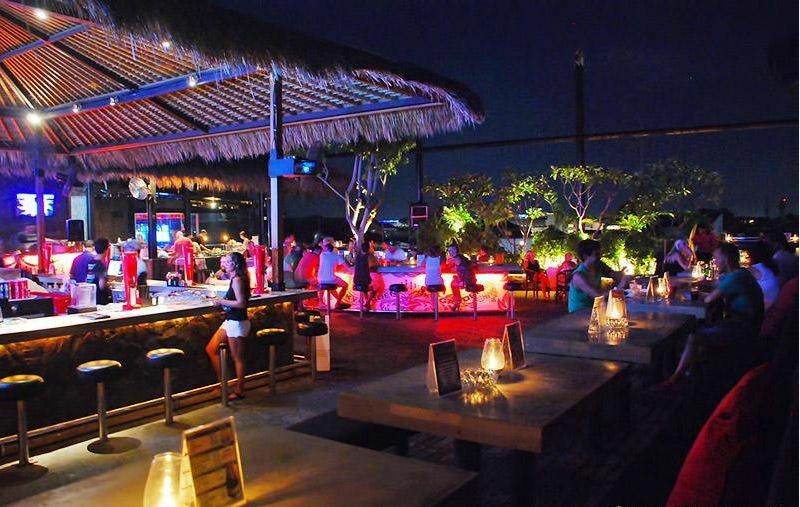 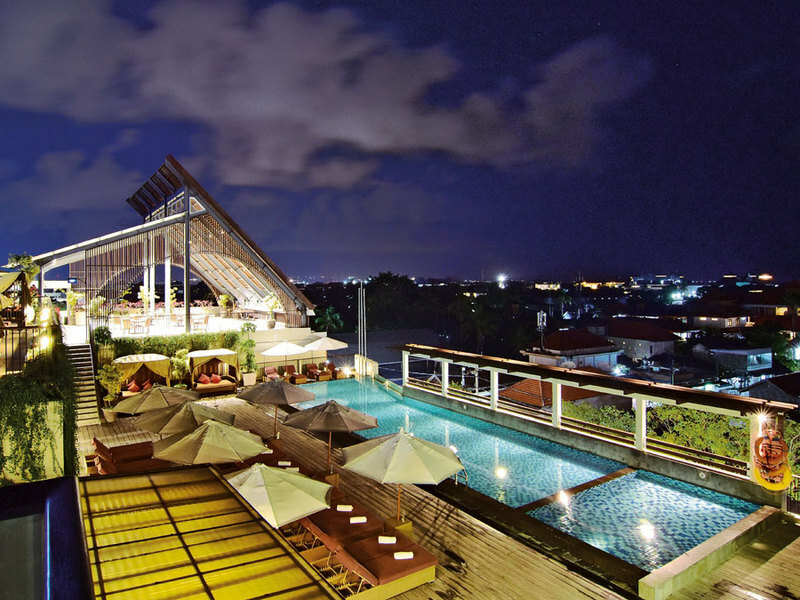 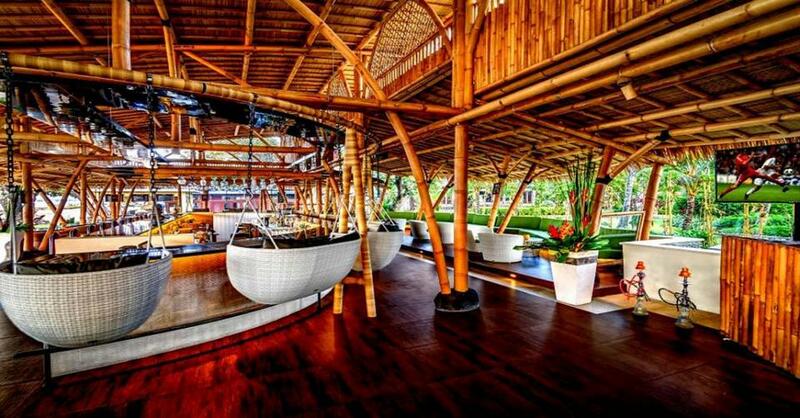 Not only are the hotels with many prices, even some are the cheapest Bali, Legian also has the most bar and party space. 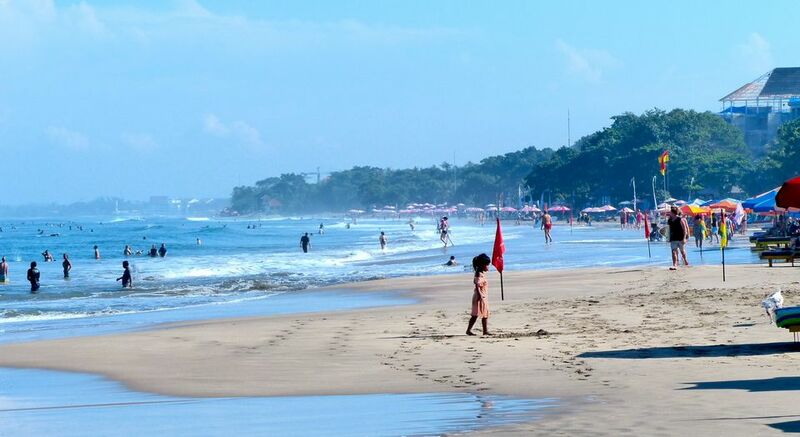 Even so, the day is still quieter than Kuta. 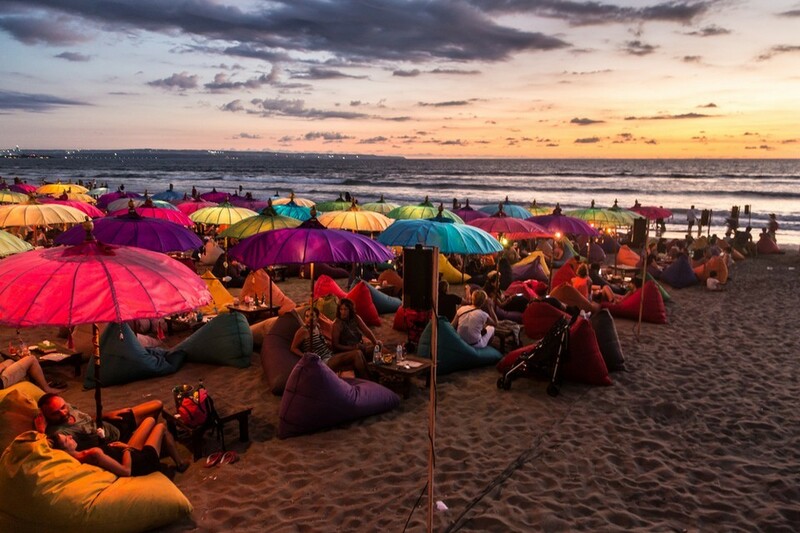 One of the most beautiful places to enjoy the sunset in Bali. 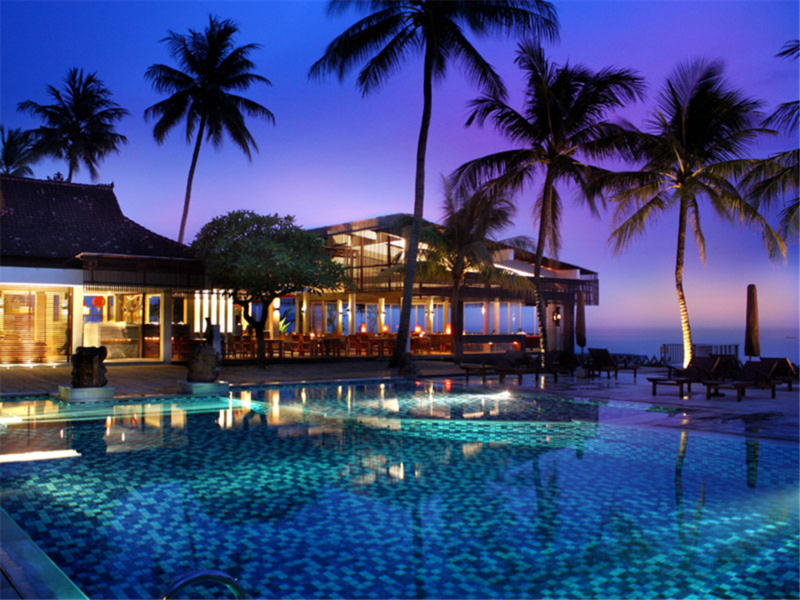 Most of the hotels are in international restaurant chains and five-star resorts. 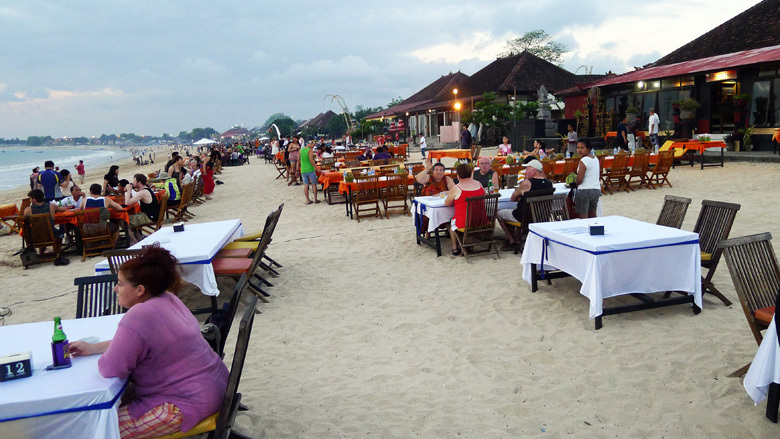 In addition, it is well known for its restaurants, cafes, beach bars with specialty cocktails, seafood and grilled dishes. 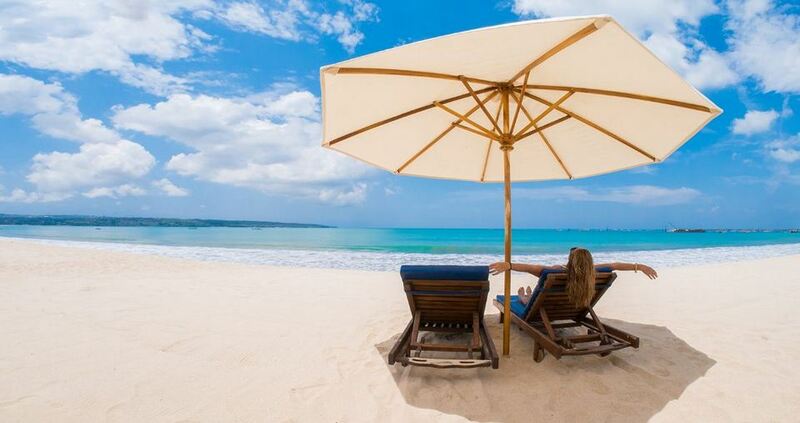 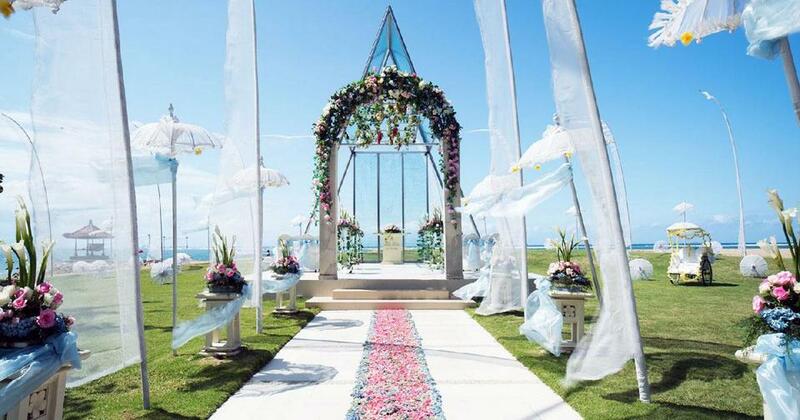 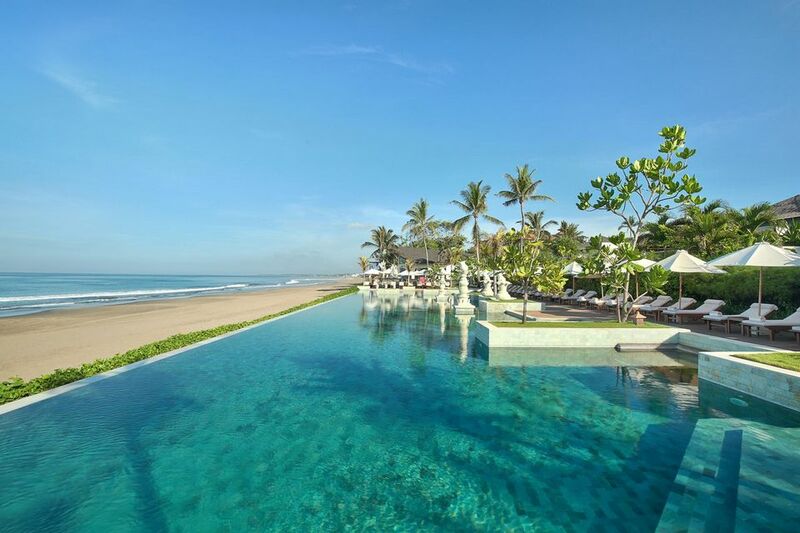 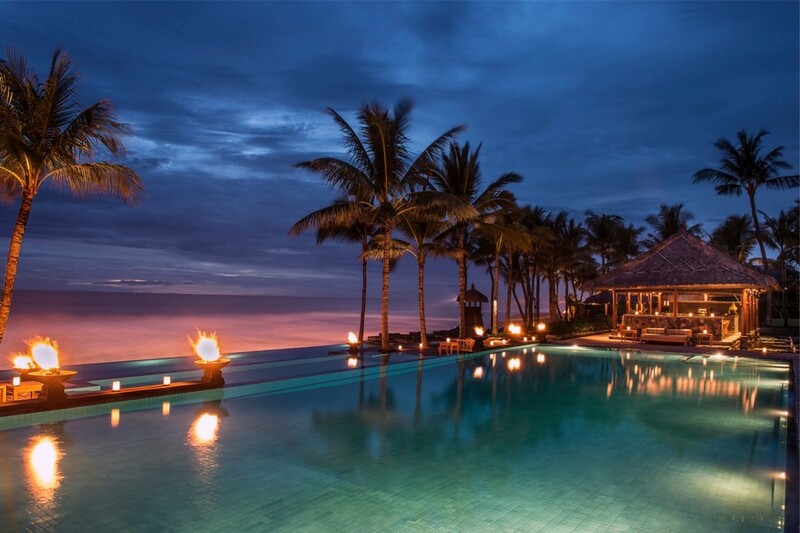 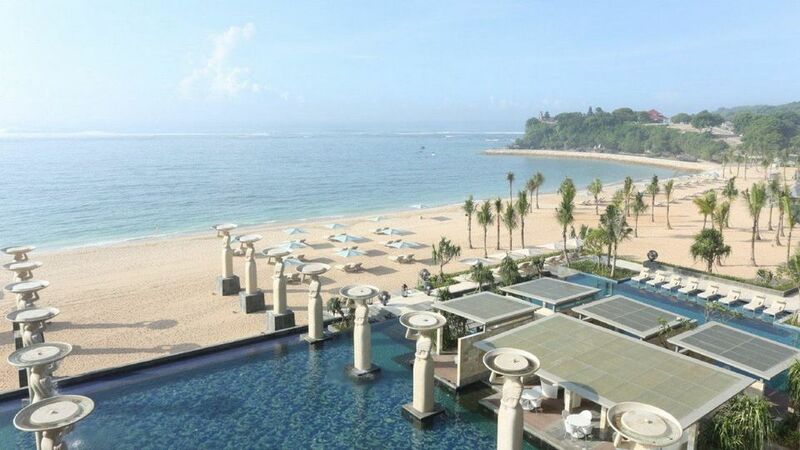 Renowned one of the most luxurious beach of Bali. 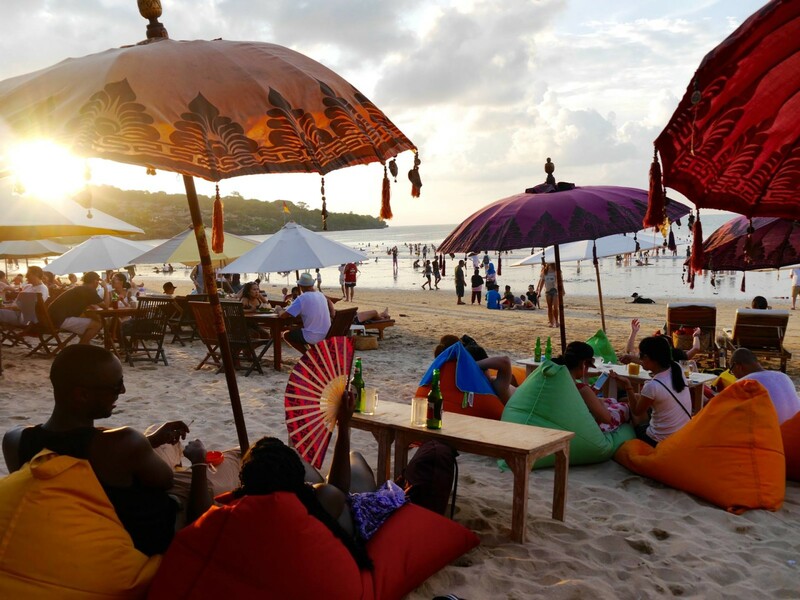 The beautiful white sands of the south-east are ideal places for you to lay down in the sun with a book or sip a glass of cocktail. 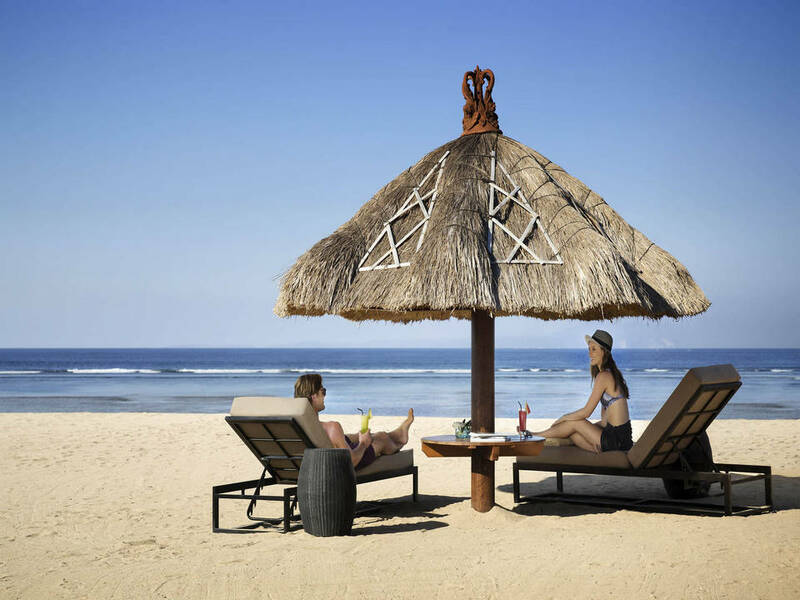 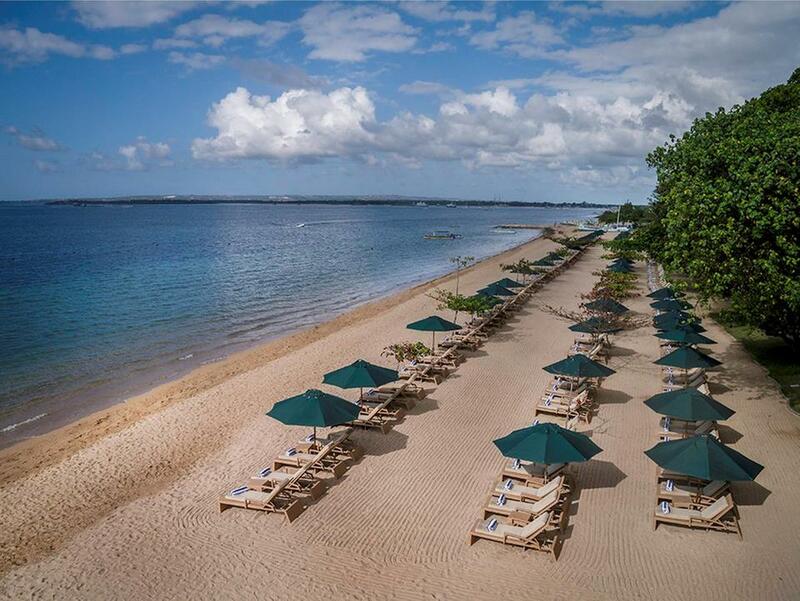 Nusa Dua is also home to a variety of entertainment, fun activities and always ready to serve you. 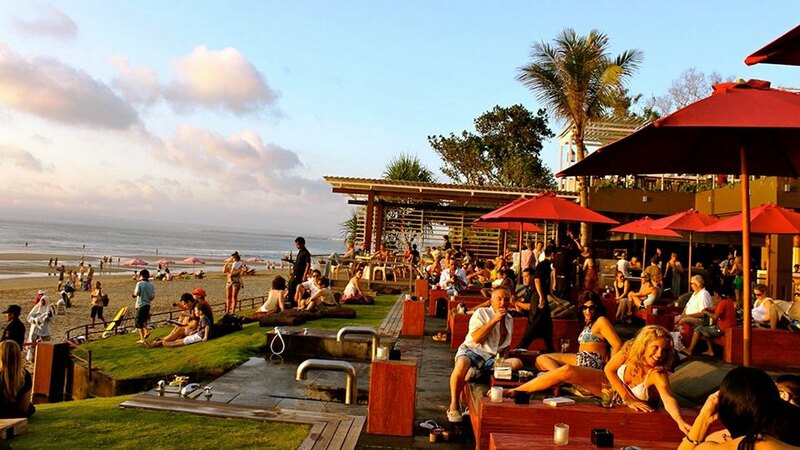 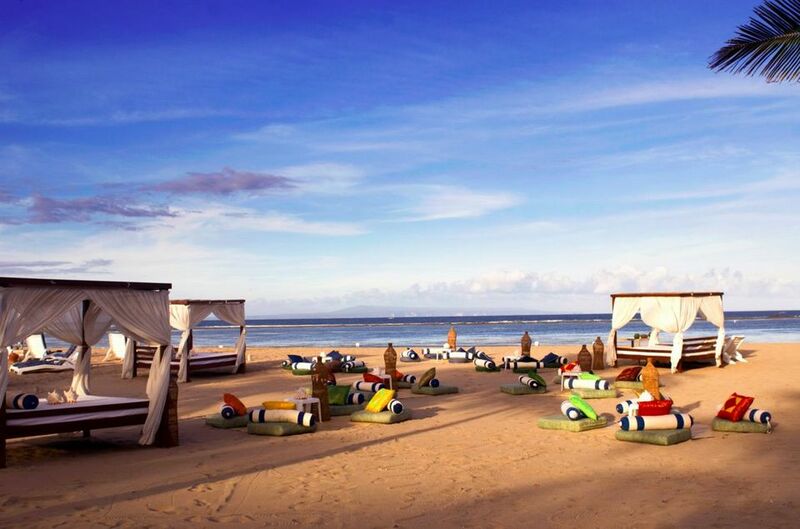 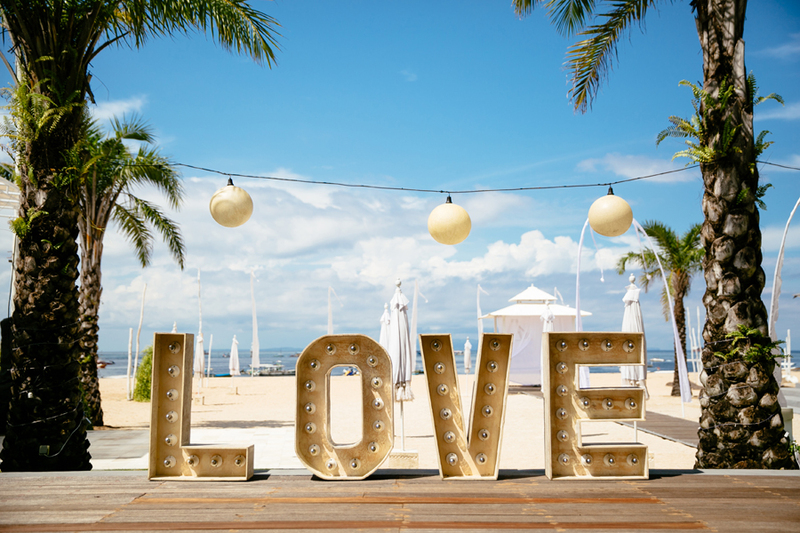 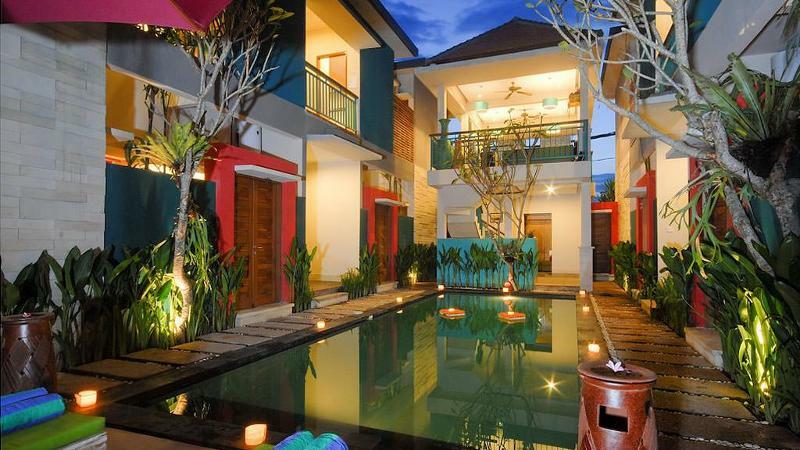 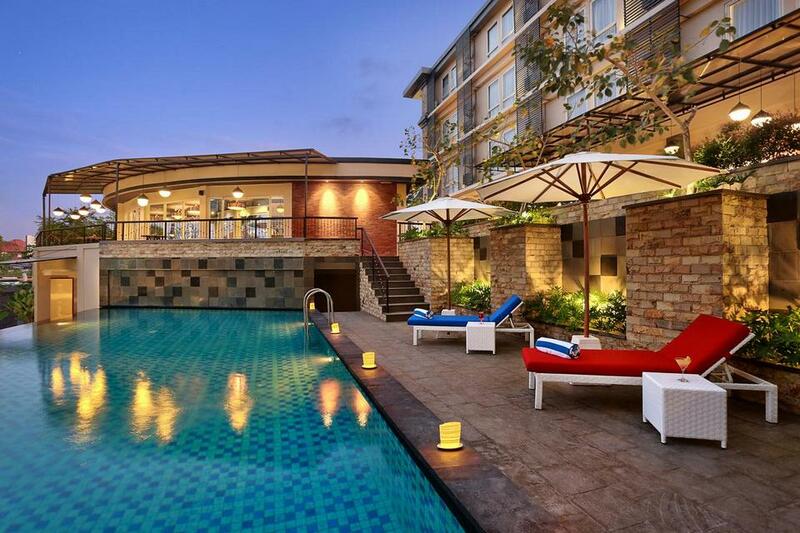 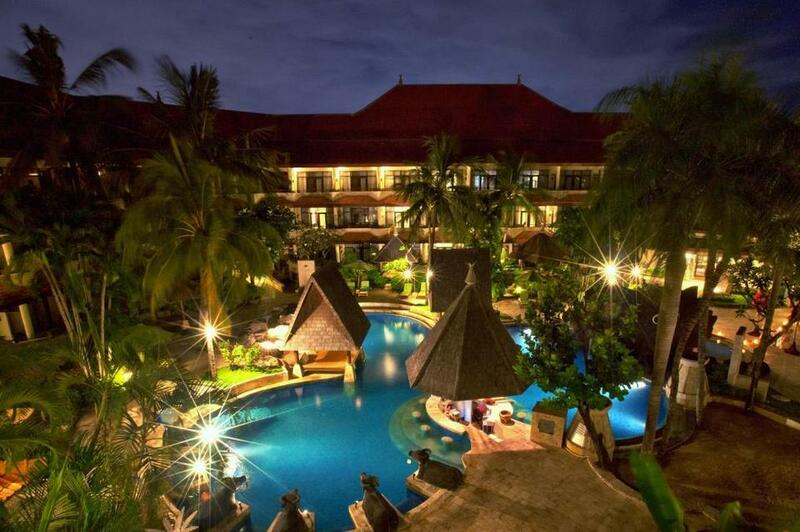 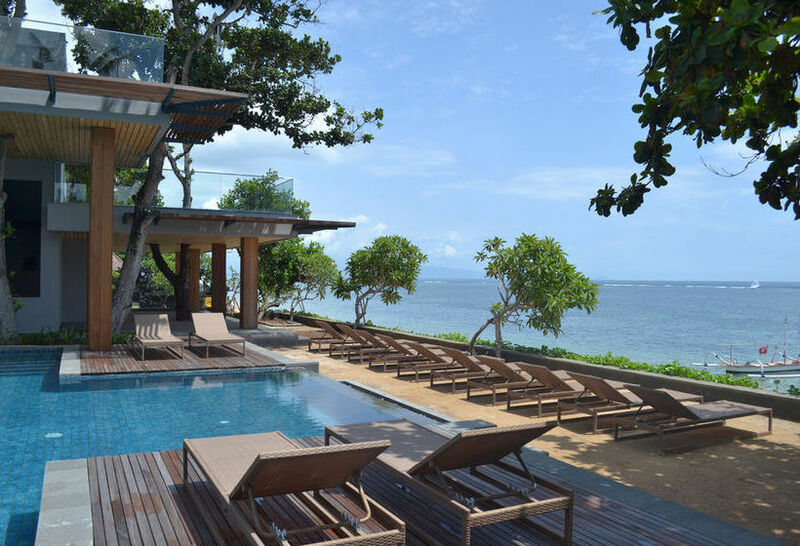 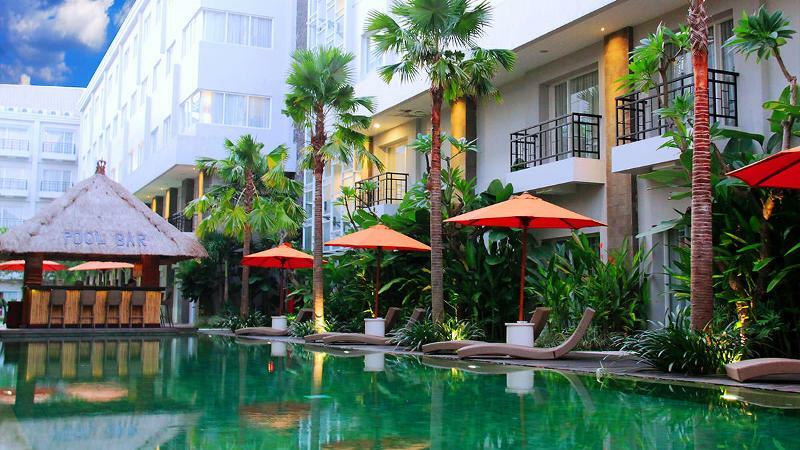 As one of the first areas to be introduced into tourism, Sanur has a good infrastructure, slow pace resort style. 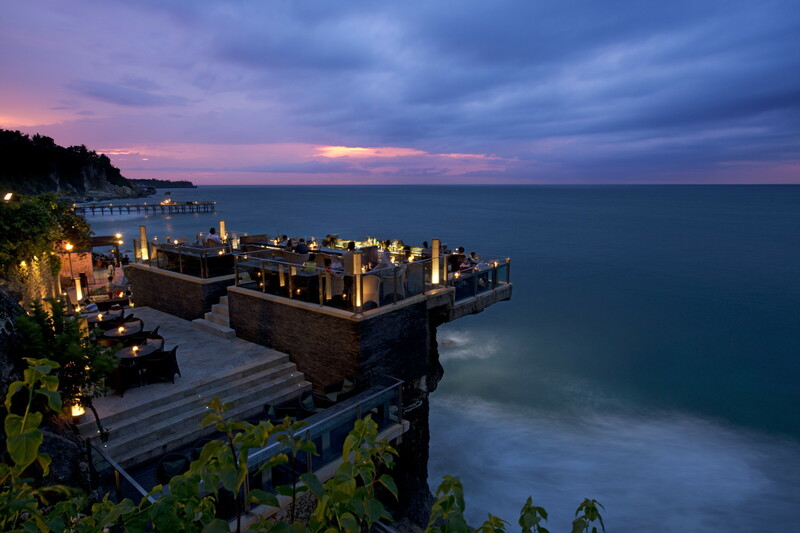 Coming to this place, you can enjoy a Bali book as praised books: 5 stars resort, best food, blue water beach. 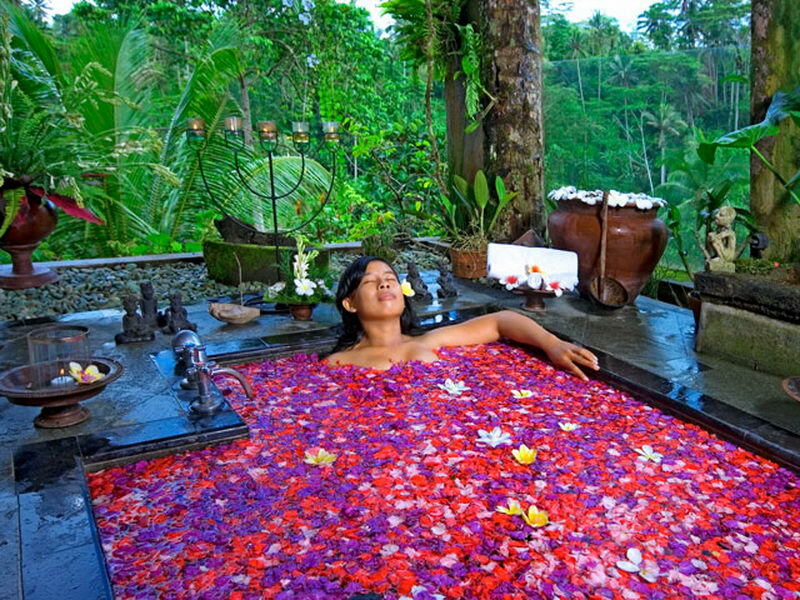 The area concentrates the recreational activities of Bali. 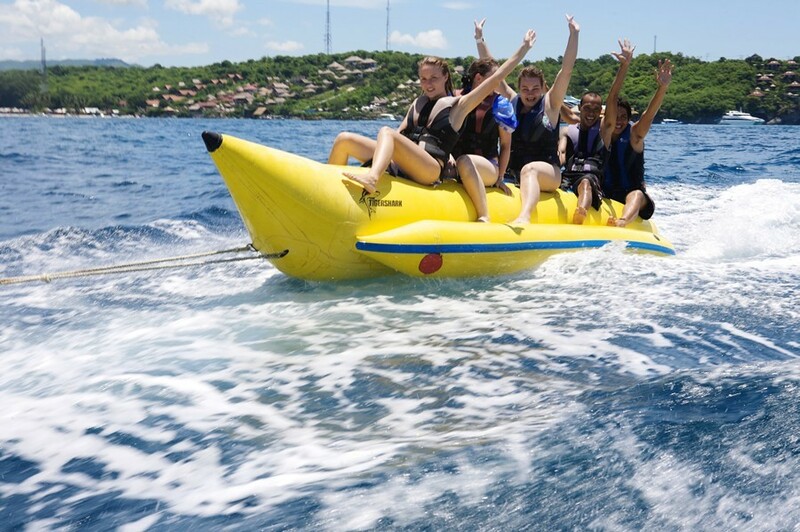 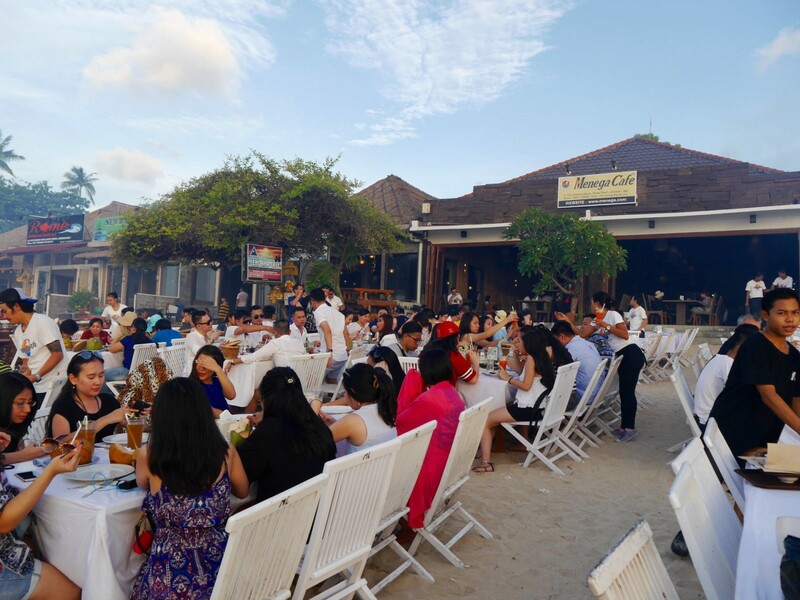 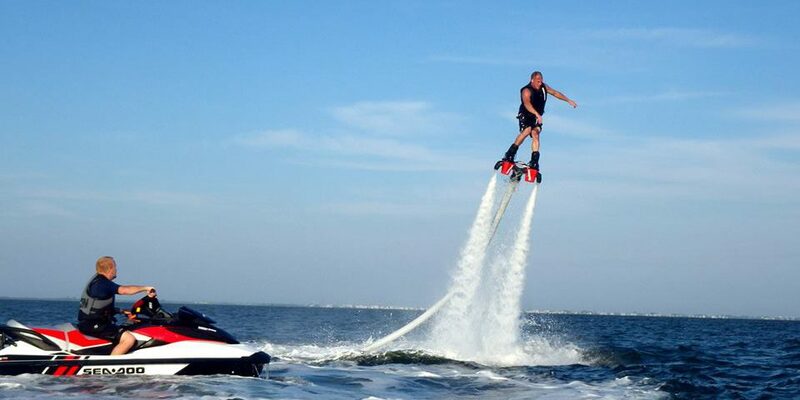 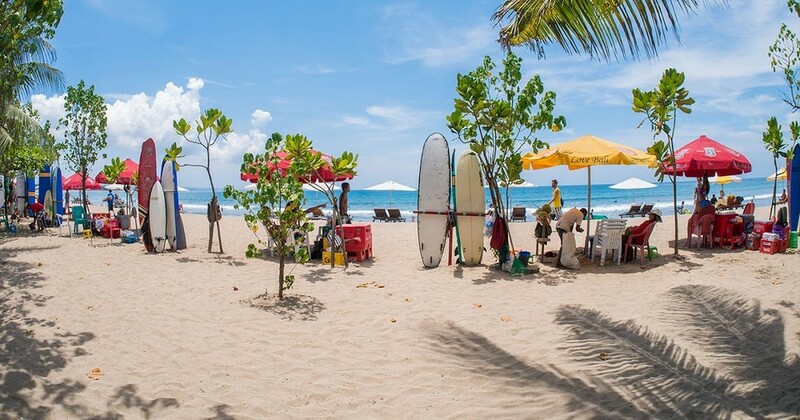 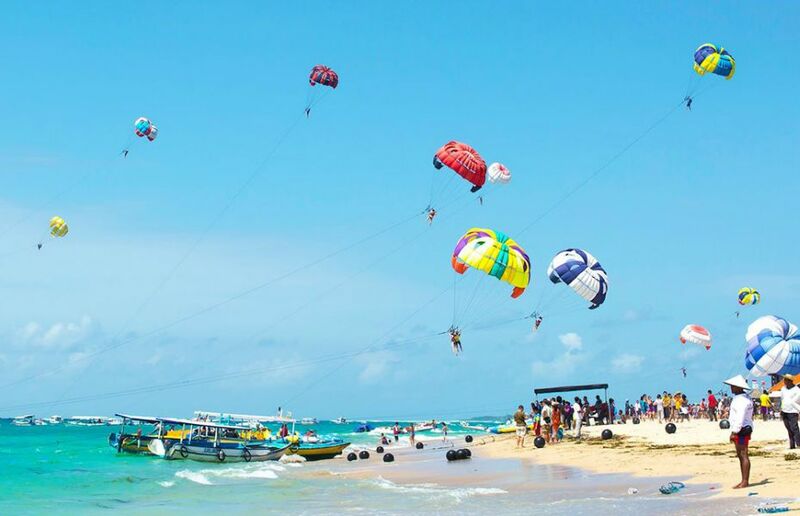 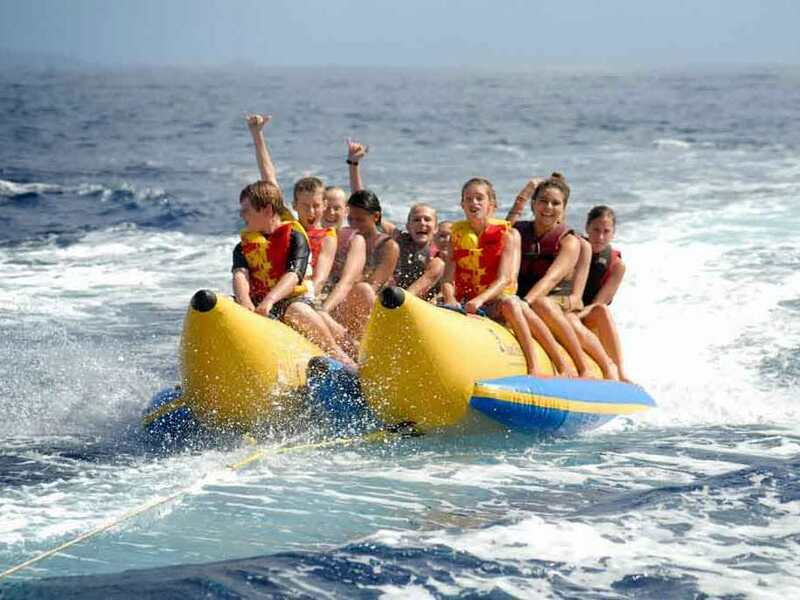 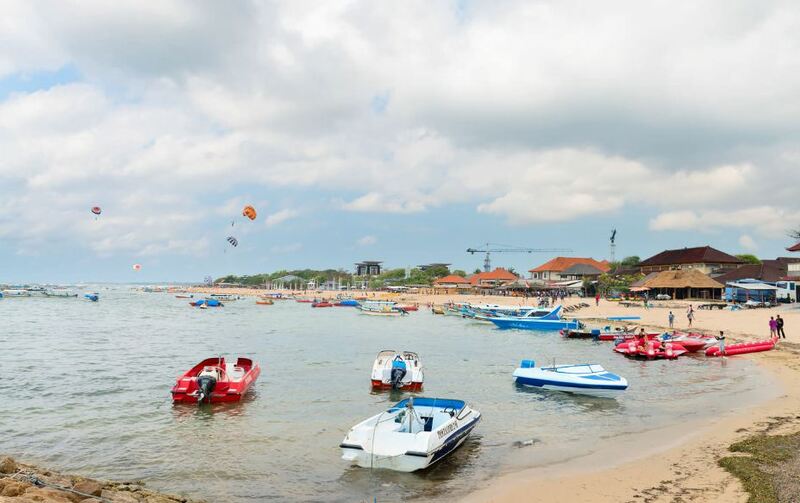 Tanjung Benoa brings you to the thrilling experiences of paragliding, water skiing, windsurfing, jet skiing, … In parallel with shopping centers, local markets, shops and stores with all the items from luxury to popular. 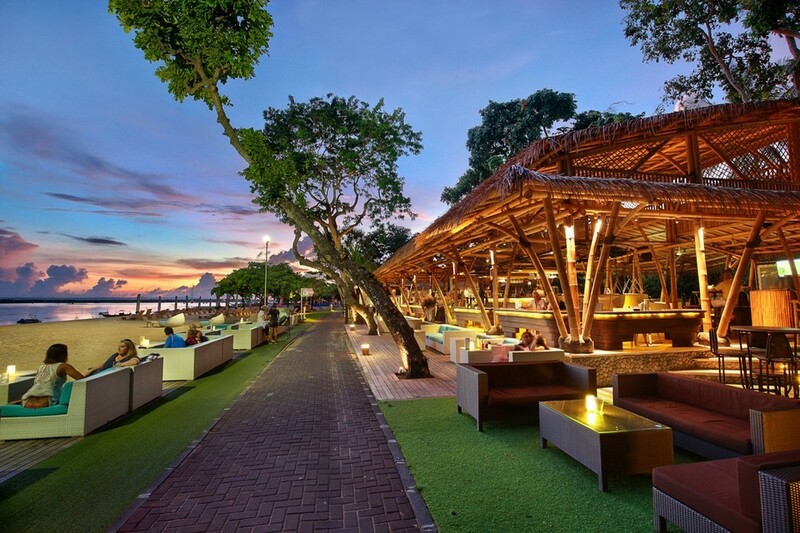 This area is also a paradise for those who love food and like to party at night. 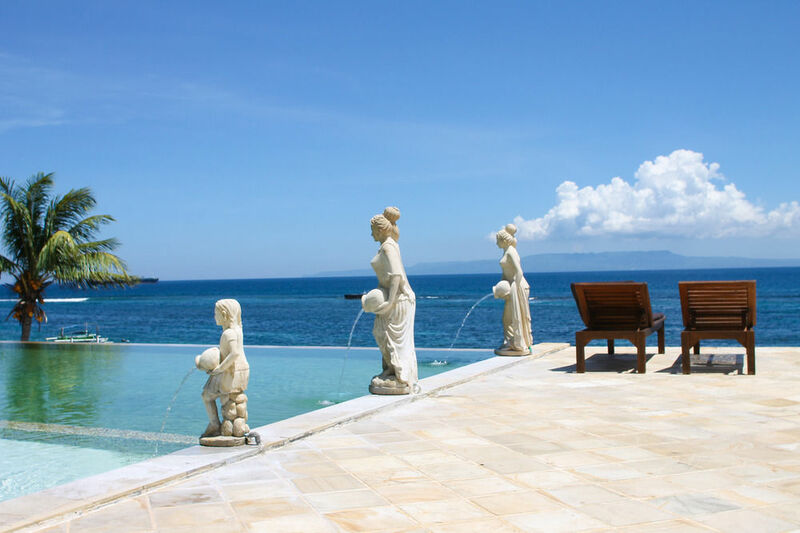 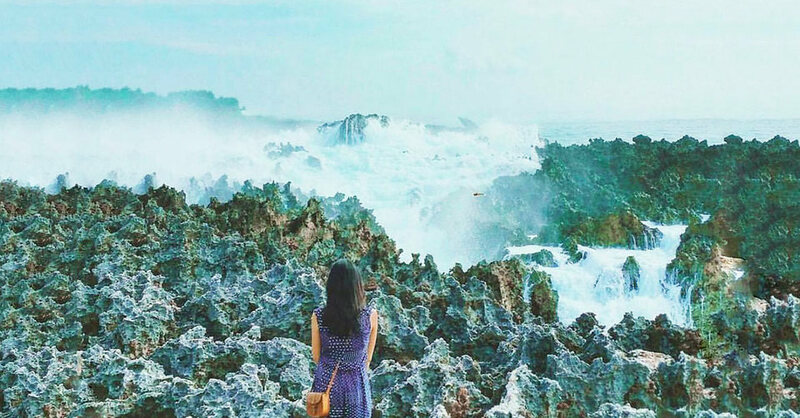 Situated just east of Bali, Candidasa is a new option for those who want to escape the crowds. 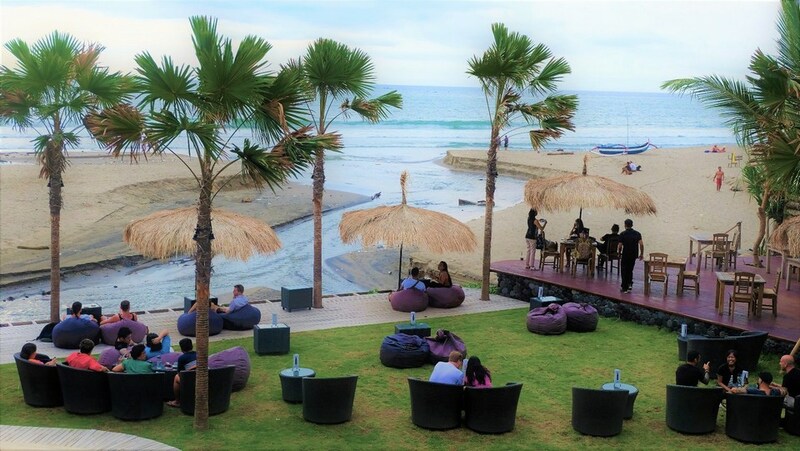 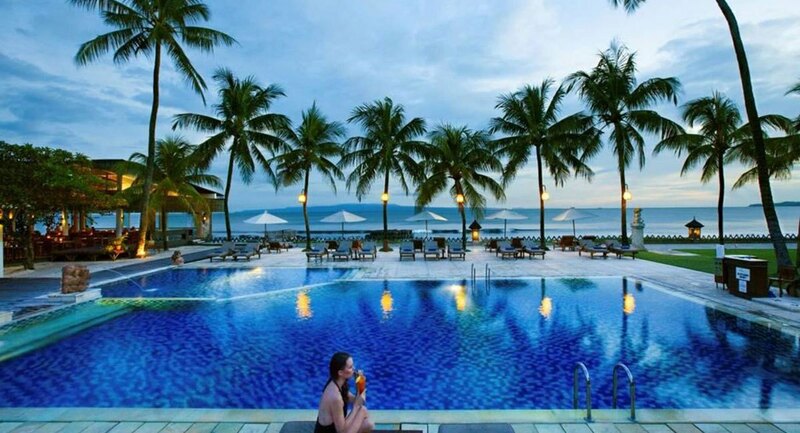 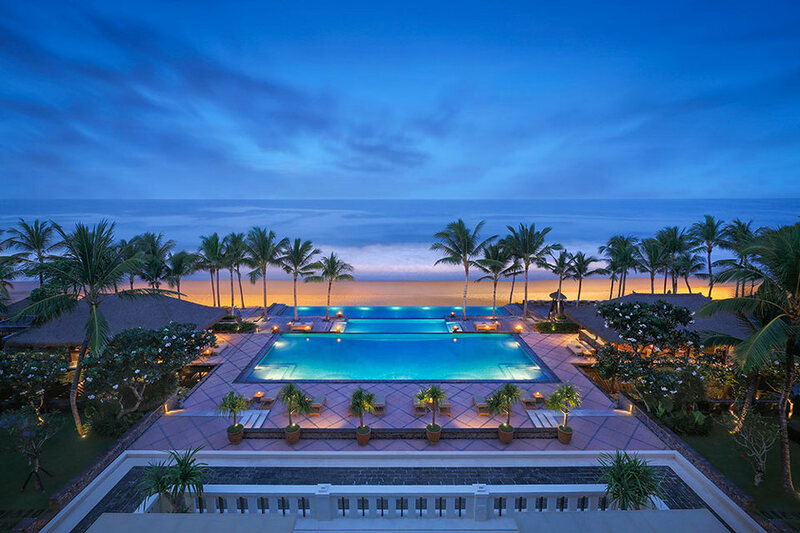 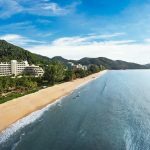 Although there are no stretches of sand, there is still a 360-degree sea view and fresh air. 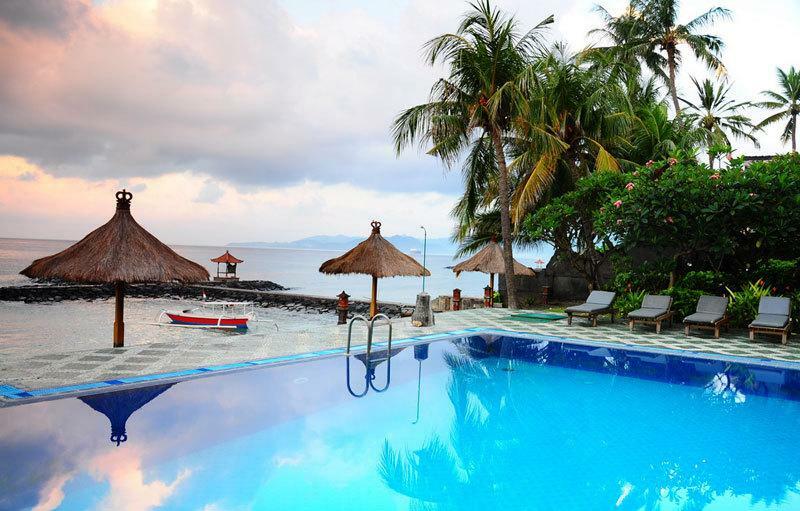 There are many motels and hotels and some are the extremely affordable price. 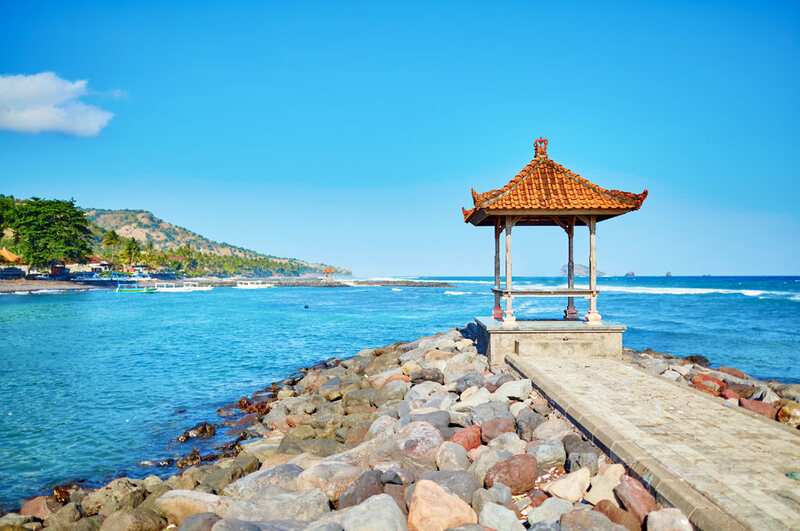 From here, you can easily explore the eastern part of Bali. 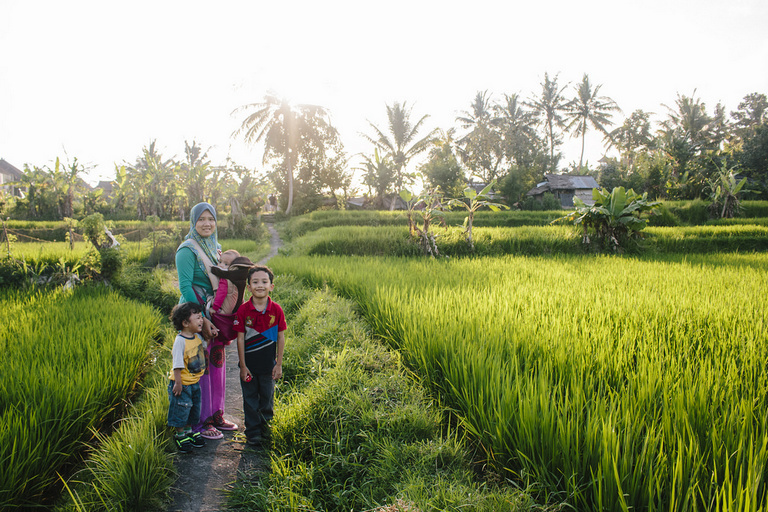 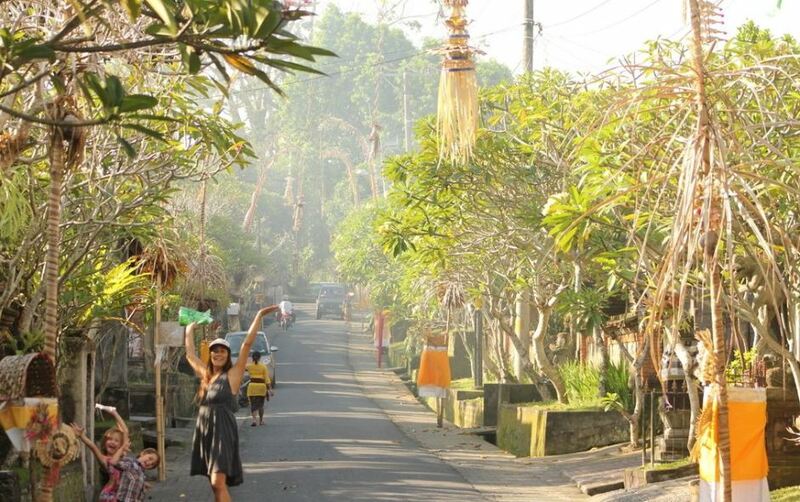 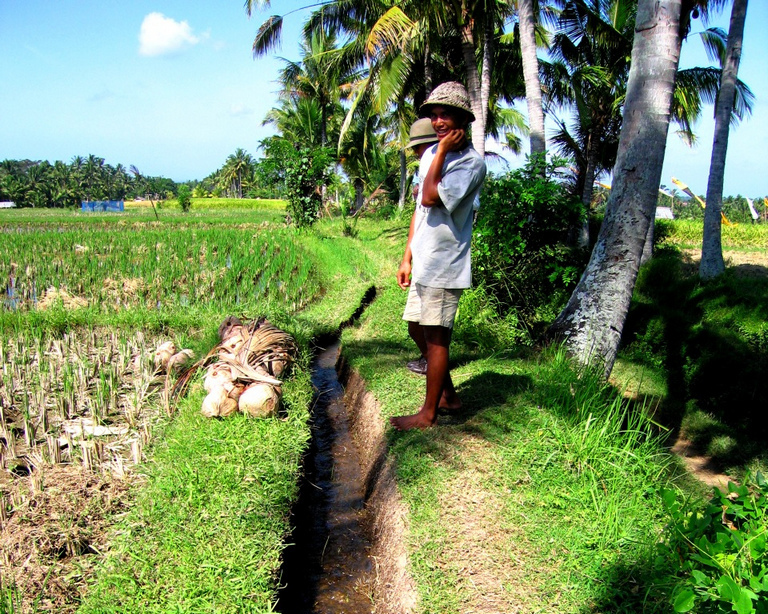 If you want to try live in a Bali village instead of traveling to Denpasar. 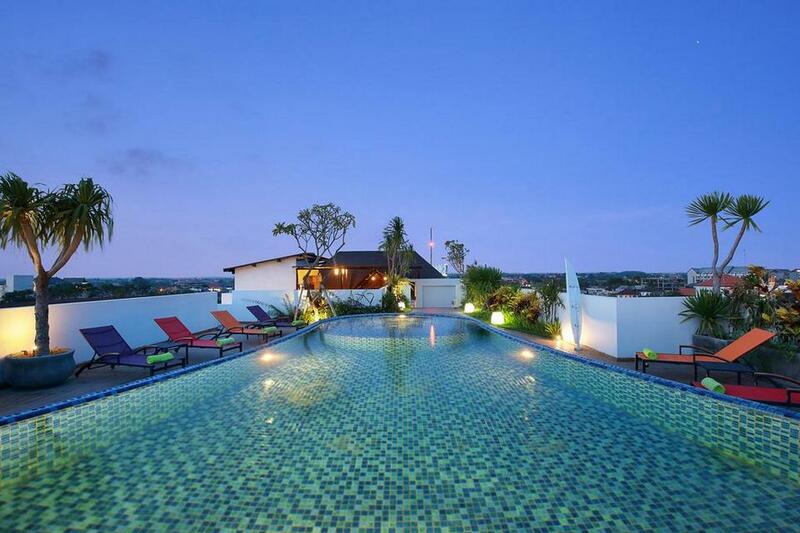 Bring to your visitors a bold local space with many motels, hotels in price. 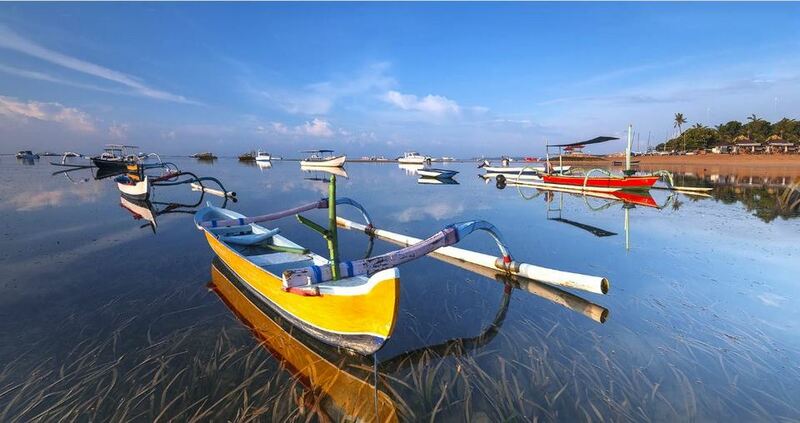 From here, you can explore South Bali. 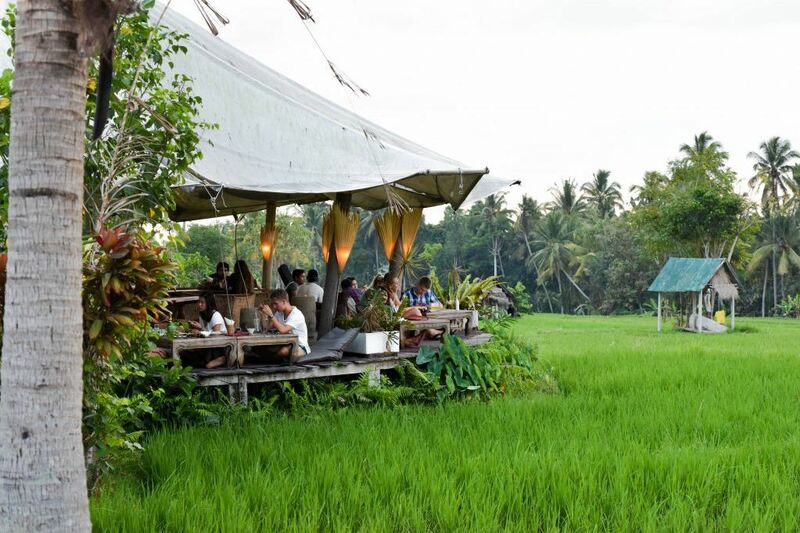 Cafe Pomegranate, Ubud, Bali. 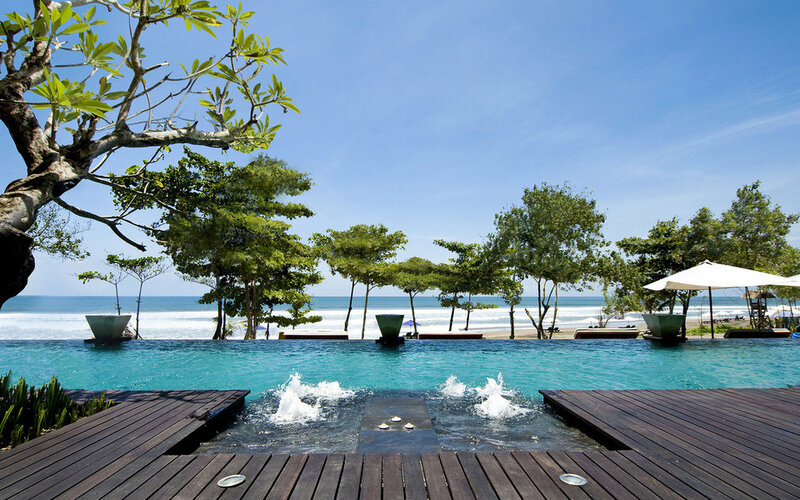 Credit image: where to stay in bali indonesia blog. 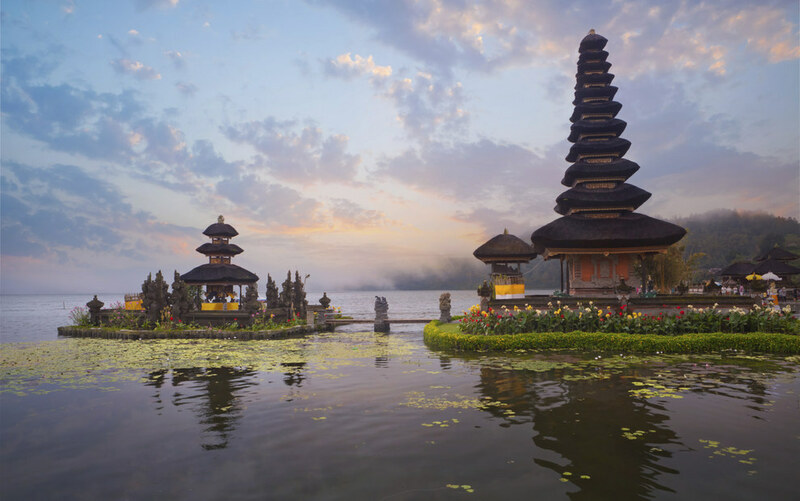 Bring at least one long sleeve shirt/jacket to visit temples when necessary.